Welcome to our 2019 catalogue This year we have been busy developing our most innovative range of education resources. We want to provide quality products that combine great value with unique design and I believe we have achieved this with our new extended TickiT range. These products, together with the other brands we support, offer you a comprehensive selection supplied and backed by our dedicated and professional team. To help you sell our products we offer you a complete partner package including high resolution images, product videos, award testimonials and access to detailed descriptions. All this is explained in our new Working With Us guide so if you donâ&#x20AC;&#x2122;t have one, please ask for a copy. Thank you for your continued support and we look forward to working with existing and new customers building a strong and successful future. We have added over 30 new products to our catalogue this year, and many more exciting new developments are in the pipeline. Stay tuned! Rigorously tested by educators and children, the criteria for our winning resources include durability, educational values, originality and value for money. All products which are safe to use with children under 3 years old will display a symbol indicating age suitability. Demonstrating the uses of a wide range of resources, our library of over 80 videos are all available for you to embed in your websites. The lorry logo indicates the product is available as drop-ship for our UK customers. Contact us for pricing information, and for availability into Europe. Our toy products have been stringently tested to international safety standards as suitable for use with children. 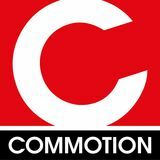 Visit commotion.co.uk/register to become a reseller and access the downloadable resources available to our resellers. Early Years | Light & Colour “A fantastic resource, strong and easy to use and very appealing to the children. It kept their concentration for longer than usual and they were interested in finding out how it worked and how it changed, using the buttons. We used with numbers, blocks and coloured paddles to increase understanding of mixing colours. Very engaging and well worth the money.” Practical Pre-School Award judges. A3 Light Panel 73046 A3 - 460 x 340 x 8mm. Illuminated area 410 x 285mm. Weight 2.25Kg. LED Light Panels LED light panels are an essential and versatile cross-curricular resource. With 3 light level settings they provide a cool, clean, bright illuminated background and are ideal for the investigation of light, colour and shape, or for focused group work in a wide range of subjects. Slimline and with rounded edges, the panels are tough, portable and easy to wipe clean. Simple operation with a lock function to prevent them being turned off unintentionally. Includes low voltage mains power supply and a TickiT Light Panel Guide, which is also available in French, German, Spanish, Polish and Swedish - please enquire. A3 Exploration Light Tray 73022 Large clear polycarbonate tray which is rigid enough to move around even when filled with water. It is designed to fit over our A3 Light Panel (73046) providing an illuminated container for a range of art, craft, messy play, sensory or exploration activities. The internal size of the tray will accommodate an A3 sheet of paper. Size: 565 x 440 x 100mm. A2 Light Panel 73048 635 x 460 x 8mm. Illuminated area 585 x 410mm. Weight 3Kg. A2 Light Panel & Table Set 72271	Light Panel & Table Set 73374	Folding Table (575 x 402 x 282mm) Low-level wooden table with A2 Light Panel which sits on top. Table legs lock into place with a hex key. Folds flat for storage. Includes low voltage mains power supply and a TickiT Light Panel Guide, which is also available in French, German, Spanish, Polish and Swedish - please enquire. Round Light Panels 73052	Large 700mm dia. 73050	Small 500mm dia. Round LED light panels are an essential and versatile crosscurricular resource. With 3 light level settings they provide a cool, clean, bright illuminated background and are ideal for the investigation of light, colour and shape, or for focused group work in a wide range of subjects. Slimline and with rounded edges, the panels are tough, portable and easy to wipe clean. Simple operation with a lock function to prevent them being turned off unintentionally. Includes low voltage mains power supply and a TickiT Light Panel Guide, which is also available in French, German, Spanish, Polish and Swedish - please enquire. Small Panel - illuminated area 428mm dia. Weight 2.3Kg. Large Panel - illuminated area 628mm dia. Weight 4.4Kg. Colour Changing Light Panels 73018	A2 (660 x 486 x 17mm) 73386	A2 Panel & Table Set (UK DD) 73020	Round 700mm dia. Colour changing light panels offer the opportunity to explore the effects of colour mixing, opacity and transparency and to observe natural and man-made objects in an interesting and different way. Our colour light panels use the latest LED strips and diffusers to evenly illuminate the panels in any one of 20 colours. Using an infrared remote control they can be set for individual colour or made to rotate through a sequence of colours slowly via ‘smooth, fade, flash or strobe’ settings. Includes low voltage mains power supply and a TickiT Light Panel Guide, which is also available in French, German, Spanish, Polish and Swedish - please enquire. A2 Panel: Illuminated area 588 x 410mm. Weight 4.4Kg. A2 Panel & table set: overall height: 299mm. Round Panel: Illuminated area 628mm dia. Weight 5.2Kg. Wooden Light Table 73038 Attractive solid wood table with a bright LED light panel in the top, providing a versatile cross-curricular resource for any SEN or early years setting. New touch switch technology includes a lock function to prevent the panel being switched off unintentionally. With adjustable legs, the table can easily be set at 4 different heights: 20mm, 120mm, 300mm or 420mm, enabling children of different sizes to sit, stand or use as a desktop light panel. Size: 600 x 600mm. Illuminated area: 500 x 500mm. Adjustable height from 20mm to 420mm. Early Years Colour Resource Set 73099 Pk634 Includes activity guide in 7 languages, and a plastic container for convenient storage. Size of largest brick: 64 x 32 x 24mm. Lace length: 600mm. Translucent Colour Resources Our range of brightly coloured translucent resources are carefully selected to provide a variety of interactive learning experiences with or without light panels and light sources. They are a versatile and cross-curricular selection, enabling children to develop learning skills in counting, sorting, pattern-making, geometry, attributes, threading, language, and creative construction. Early Years Maths Resource Set 73095 Pk498 Includes activity guide in 7 languages, and a plastic container for convenient storage. Size of large cube: 48mm. Lace length: 600mm. Early Years | Light & Colour Translucent Colour Blocks 73083 Pk50 Mixed building blocks in 6 colours and 6 shapes, including circular and rectangular pillars, triangular prisms, cubes and bridges. Includes plastic container for convenient storage. Size of cube: 33mm. Translucent Module Blocks 73081 Pk90 Interlocking building blocks in 6 colours and 4 sizes, ideal for improving fine motor skills through imaginative play. Colourful constructions look even more striking when built on a light panel. Includes 2 baseboards and plastic container for convenient storage. Size of largest brick: 64 x 32 x 24mm. Translucent Cube Set 73089 Pk54 Stacking cubes in 3 sizes and 6 colours, ideal for use on a light panel to explore attributes, for stacking, and for grouping and pattern or sequencing activities. Size of large cube: 48mm. Translucent Geometric Shapes 73075 Pk36 Set of small geometric solids in 12 different shapes and 6 colours. Ideal for learning shape names and attributes using a light panel. Includes plastic container for convenient storage. Size of cube: 50mm. Translucent Hollow Pattern Blocks 73093 Pk180 Mixed pattern blocks in 6 shapes and 6 colours, for using in pattern and sequencing activities, for counting and sorting, or for colour and shape recognition. Compatible with Basic Pattern Block Cards (53985). Includes plastic container for convenient storage. Size: approx. 20-50mm. Translucent Lacing Geometrics 73087 Pk144 + 12 Laces Large pack of geometric lacing counters in 12 shapes and 6 colours: circle, triangle, square, rectangle, rhombus, pentagon, hexagon, octagon, 5-point star, 9-point star, flower and heart. Includes plastic container for convenient storage. Size: approx. 52mm dia. Lace length: 600mm. Light & Colour | Early Years Translucent Stackable Buttons 73071 Pk144 + 12 Laces Set of mixed button shapes (star, circle, hexagon and square) in 6 colours with 1, 3 or 5 holes in the centre. Ideal for sorting and counting activities, or for developing fine motor skills by stacking or threading with the laces. Includes plastic container for convenient storage. Size of square: 45mm. Lace length: 600mm. Translucent Jumbo Lacing Beads 73085 Pk180 + 12 Laces Large pack of lacing beads in 6 shapes and 6 colours with 12 laces. Use for colour and shape recognition, fine motor skills, pattern and sequencing, or sorting and counting. Includes plastic container for convenient storage. Size: approx. 20-30mm. Lace length: 600mm. Translucent Colour Squares 54111 Pk300 Clear square tiles in 6 colours and 2 sizes, supplied in a plastic container for convenient storage. Ideal for using on a light panel for counting, sorting, patternmaking and colour recognition activities. Includes plastic container for convenient storage. Size: 19mm and 25mm. 54113 Pk500 Clear round counters in 6 colours and 2 sizes, supplied in a plastic container for convenient storage. Ideal for using on a light panel for counting, sorting, patternmaking and colour recognition activities. Includes plastic container for convenient storage. Size: 19mm and 25mm dia. Light & Colour | Early Years Clear Junior Rainbow Pebbles 54109 Pk36 An appealing early construction and manipulative set, ideal for developing fine motor skills and are fascinating viewed on a light panel. The smooth pebbles come in 3 shapes and 6 soft translucent colours, supplied in a plastic container for convenient storage. Size of longest pebble: 75mm. Translucent Stackable Counters 73091 Pk500 Smooth stacking counters in 6 colours that can be built into towers or used for counting, sorting, pattern-making and sequencing. Includes plastic container for convenient storage. Size: 20mm dia. Early Years | Light & Colour Translucent Colour Paddle Set 73109 Pk6 Jumbo translucent colour plastic paddles in primary and secondary colours, ideal for colour mixing and a good size for group work as well as individual exploration. Size: 80mm dia. Jumbo Colour Mixing Shapes 72395 Pk6 Giant translucent colour acrylic shapes. Ideal for shape and colour recognition, for colour mixing, templates, and mathematical development. Size of circle: 200mm dia. Includes primary and secondary colours, black, white, clear and a double-sided mirror. Ideal for exploring light, colour and shape. A set of colourful A4 acetate sheets, ideal for exploring colour-mixing and using with other colour and light resources on a light panel or against a window. Size: approx. 300 x 210mm. Light & Colour | Early Years Translucent Colour Bucket Set 73101 Pk6 Fun stackable colour buckets, the perfect size for children to use in explorative play with sand and water, or for colour mixing and matching. Colours match the Translucent Colour Jug Set (p77 & p101) so can be used together for extended play value. Size: 122 x 162mm dia. Translucent Colour Pot Set 73105 Pk18 Small stackable lidded pots in 6 translucent colours, ideal for use in explorative play, for colour mixing and matching, and as a stacking activity to engage logic and develop coordination. Colours match the Translucent Colour Jug Set (p77 & p101) so can be used together for extended play value. Includes plastic container for convenient storage. Size: 57 x 42mm dia. Acrylic Block Set	72606 Pk25 Polished translucent acrylic blocks with smooth, tactile surfaces. The colourful set contains 17 different shapes designed to enable children to create patterns, sequences and imaginative pictures. The regular polygons will develop mathematical language and the understanding of shape and form; irregular shapes will encourage children to make more complex creations and use increasingly diverse language; the plane acrylic mirror sheet can be used for exploring the effects of symmetry and reflection. Includes activity guide and 15 work cards, all supplied in a foam-lined box for convenient storage. Size of mirror: 160 x 320mm. Largest block height: 80mm. 15 double-sided activity cards & teachersâ&#x20AC;&#x2122; guide. Light & Colour | Early Years Perception Semispheres 72602 Pk8 When a semisphere is placed on top of an object it magnifies it by 4 or 5 times to give a view that is both a different colour and enlarged. Size: 50mm dia. Perception Spheres & Semispheres These award-winning sets each come in 8 different translucent colours and are smoothly pleasing to hold. Babies will enjoy handling them in free sensory play; older children find them fascinating as they look through to see the world around them in different colours and with distorted images; using several together on a light panel will enhance the childrenâ&#x20AC;&#x2122;s opportunities for colour mixing. Perception Spheres 72604 Pk8 Children will be fascinated by the way light behaves when they look through the spheres, they will see the world from an inverted angle and in a different colour. Size: 50mm dia. An innovative new design for our best-selling sand timers. The ClearView lens comes with 2x magnification, enabling children to closely observe the smooth-running coloured sand flow from one end to the other. The sand timers can be placed on a table top and observed from the side, or watched from above providing a visual demonstration of the passing of time. Ideal for group activities, with shatterproof plastic outer barrier to protect the inner glass. Size: 150 x 72mm. Large cylinders containing gold, silver and blue glitter in clear liquid. Turn them over to observe the sensory glitter storm. Made from high impact plastic. Sensory Liquid Sets Highly attractive crystal clear sensory liquid sets containing colourful mineral oil and water in a range of designs. When turned upside down they provide a variety of ways for the droplets to fall or rise. The sets will captivate and fascinate and are an ideal resource for quiet focus, as well as inspiring curiosity, developing creative language and understanding simple scientific principles. Sensory Liquid Bumper Set 92092 Pk21 Combined sensory set comprising: Sensory Liquid Set, Sensory Bubble Set, Sensory Jump Bean Set, Spiral Tube Set, Large Sensory Bubble Set and Sensory Dual Liquid Set. Small rectangular sensory liquid set with hourglass shaped internal cavity containing tiny colourful seed-like bubbles that float up from below. Chubby sensory liquid hourglass shapes with colourful bubbles that fall and bounce to the bottom. Large cylinders with fat spherical colourful droplets that roll in a line down a spiral staircase. Made from high impact plastic. Large sensory liquid wave shapes with two different coloured streams of liquid which cascade smoothly to the bottom. Size: 130 x 95mm. Large sensory liquid towers containing two streams of coloured liquid which cascade to the bottom in droplets at varying speeds. Large bulbous sensory liquid shapes with colourful droplets that tumble and bounce to the bottom. Large sensory liquid cylinder with thick pink gloopy jelly that oozes and spirals to the bottom. Made from high impact plastic. Size: 55 x 145 x 35mm. 75557 400 x 700mm dia. The ultra-strong illuminated hollow plastic table is an aesthetically pleasing cotton reel shape, and can be placed around the room or used in a sensory den to provide a softly lit table unit. Size: 400 x 700mm dia. Sensory Mood Ball 75546 400mm dia. Sensory Mood Lights These strong illuminated hollow plastic forms are aesthetically pleasing and can be placed around the room or be used in a sensory den to provide background lighting or a mood inducing light. Use the remote control to choose one of 16 different colours or set to fade smoothly through the entire spectrum of shades from a cool ultra-violet to a warm red. The units are low voltage and rechargeable. An 8-hour charge provides approximately 10 hours of light, and the lights can be used inside or out. The cubes make an excellent seat, ideal for a sensory corner or reception area. Water resistant to IP65. Includes information sheet in 4 languages. SiliShapesÂŽ Sensory Circle Set 54517 Pk10 Textured discs made from flexible coloured silicone. Each of the 5 different pairs (1 large and 1 small in each pair) has matching colours and patterns on their surfaces, i.e. both of the green discs have a bristly texture. Children will enjoy discovering the different surface textures and developing their language skills by describing what they see and feel. Discs can be placed in the feely bag provided for identification by touch, using descriptive language or by matching to the large sensory circles placed on the floor. The silicone circles are strong, soft and grippy on any hard surface. They are easily cleaned in soapy water or in a dishwasher. Includes activity guide in 4 languages. Size: 250mm dia. & 80mm dia. 12 tactile turned hardwood counters with differently textured inserts which match the surfaces on the board. Can be used as a memory game by turning the counters upside down, for extending descriptive language or for sensory stimulus. Size of board: 220 x 170 x 35mm. Brightly coloured double layered blindfolds for a complete blackout to help children focus and concentrate. Elastic straps at the rear ensure one size fits all. Sensory Shape Set 74054 Pk3 Large colourful tactile 3D shapes with a soft raised texture surface, ideal for early sensory exploration and for young children to discover the characteristics of a sphere, pyramid and cube. Size of cube: 85mm. Set of plastic pots with holes in the lids, ideal for adding scented ingredients to encourage children to explore using their sense of smell. 6 pairs of hardwood triangular prisms. Each pair makes a different sound when shaken, encouraging observation using listening skills. The note symbol only appears at one end, so can be hidden by turning upside down to add an extra challenge. Size: 80 x 40mm dia. Sensory Rainbow Glitter Balls Set 92098 Pk7 Red, silver, gold, green, blue, pink & purple glitter balls with attractive sparkling stardust which swirls around the inside of the balls as they are moved. Ideal for both boys and girls by creating a fascinating sensory experience to captivate the imagination and improve concentration. Size: 65mm dia. Children will love to play with these balls that light up and flash when bounced. Great for use in open play or in a sensory area. The textured round balls each have different surface textures; the irregular bounce balls will hop and deflect at odd angles when they hit the floor. Approximately 1200 flashing cycles. Mystery Sensory Balls 72203 Pk6 Robustly constructed from stainless steel, these 6 reflective mirror balls look identical but have individual characteristics. Some wobble when rolled, or turn and wonâ&#x20AC;&#x2122;t roll in a straight line, some feel funny when twisted, spun or shaken, and others make different shaker or rattle sounds. The shiny mirror surface provides a distorted fish-eye lens reflection which is fascinating for children to observe. They are lightweight, smooth and tactile to handle and can be of particular appeal to children with SEND, or for those requiring inspiration in creative language. Size: 100mm dia. Sensory Reflective Balls 72201 Pk4 Robustly constructed from hard wearing stainless steel, these shiny reflective mirror balls can be handled by children indoors or outside and provide a focal point for displays. Children will be fascinated to see items placed next to the mirrored surfaces including their own faces enlarged and distorted. Size: 60, 80, 100, 150mm dia. Sensory Ball Pack 72446 Pk20 A selection of 20 balls with different textures, colours, density and bounce properties. Selected by our primary and pre-school specialists. Supplied in a black feely bag. Size of large ball: 75mm dia. Small ball: 50mm dia. Tactile Balls 72448 Pk6 Six differently textured soft plastic balls the ideal size to enable toddlers and young children to hold and squeeze, roll and throw, or examine them to discover their differences. Can also be used for pattern-making in sand play. Size: approx. 110mm dia. Sensory Meteor Ball 74056 Pk7 A large colourful textured ball with 6 smaller balls which fit into craters around the surface. An unusual and stimulating resource which can be used with infants to explore actions, reactions, and motor skills; or within a small group of toddlers to encourage conversation and develop hand-eye coordination. The small balls have differently textured surfaces and can be removed and used separately. Size: approx. 185mm dia. Sensory Texture Balls 74058 Pk6 A set of differently textured balls, the ideal size for small hands to handle. The surface textures are fun to examine and describe, and the set can be used on its own, as an additional set for the Sensory Meteor Ball, or as part of a wider sensory exploration activity. Size: 60mm dia. Early Years | Sensory / Gross Motor Skills Odd Balls Set 75043 Pk4 A set of four inflatable balls in distinctive and unusual shapes - a purple polysided shape, a blue ovoid, a clear spiky ball and a green pyramid. Great for throwing, catching, rolling and bouncing, as the irregular shapes make them move in unpredictable directions, challenging expectations and coordination. Size of clear ball: 200mm dia. Constellation Ball	75045 A large, clear inflatable ball with colourful beads inside. Great for gentle controlled physical play, where children can roll or pass the ball to each other. Also ideal for quiet periods, improving focus and concentration. Size: 350mm dia. Giant Catch Net 75536 This versatile net is designed to stand either horizontally or vertically so it can be used for both throwing and kicking games. Made from powder coated tubular steel, it features a press-stud fitted close mesh net that can be removed and washed, and pop-stud fitted legs for easy storage. Size: 680 x 840mm. Hoop: 820mm dia. Designed for primary and pre-school children to improve hand-eye coordination and provide a challenging and reachable goal. Includes assembly instructions. Size: 860mm high. Hoop: 400mm dia. Easy Grip Balls Set 75041 Pk4 A set of four colourful inflatable soft balls with special honeycomb surfaces. Will help children gain confidence in catching as the textured surface aids easy grip. Includes bicycle pump adapter. Size: 250mm. Early Years | Gross Motor Skills Trace & Balance 76081 A wobble board with 4 wooden balls. By standing on the board and placing their feet in the foot prints, children should use their balance and core muscles to roll the ball through the trail paths. Size: 450 x 300 x 50mm. Ultra strong mini trampoline with support bar made from tubular steel, reinforced springs and nylon padded skirt to stand the test of time. Promoting healthy exercise and gross motor skills in a fun way. Max weight capacity 25kg. Includes assembly instructions. Promoting healthy activity indoors and out. Can be used to improve a childâ&#x20AC;&#x2122;s hand-eye coordination and to help develop gross motor skills. Max weight 45kg. Includes assembly instructions. Size: 930mm dia. Approx. 800mm high. Size: 300 x 500mm dia. Joey Jump Bean Bag Game 54115 A pivoted sturdy plastic platform for launching bean bags into the air ready to catch. Great for hand-eye coordination and gross motor skills. Placing both bean bags on the platform at the same time increases the difficulty level, or makes it a game for two players. Size of platform: 700mm. Bean Bags Using bean bags in active play will encourage children to learn specific areas of the curriculum in an engaging and fun way. Combining hand-eye coordination with gross motor skills, the different bean bag sets can help reinforce the recognition of letters and early spelling; numbers and mental maths; shapes and their attributes; colours and colour names. 53359 Pk4 Set of plain bean bags in 4 simple colours. 8 different colour bean bags clearly marked with the colour names. Size: 110mm. Easy to use colourful bean bags printed with numbers 1-10 and their matching dots. Will help children to recognise and order numbers, learn to count, and engage in simple maths games. Colourful bean bags printed with lower and upper case letters offer many options for learning and play. Great for developing gross motor skills. 5 bright colours. Reinforces an understanding of shape through symbols, words and the shapes of the bean bags themselves. 4 shapes & 4 colours. Children will develop gross motor skills whilst inventing their own creative movements with these streamers. 6 colours - red, blue, yellow, purple, orange & green. 6 strong woven nylon hand straps, each with 6 strands of long colourful ribbon. Ideal for music and movement, coordination and physical play. Size of streamer: 3m x 50mm. Stick: 300mm. This set of 6 balance handles and balls is a great addition to any collection of physical play resources. An ideal game for developing jumping skills and coordination. 6 bright colours. Size of handle: 330mm. Ball: 60mm dia. Size of hoop: 160mm dia. Flex: 600mm. Six pairs of hands in six colours with new textured surfaces. Made from non-slip soft plastic. Six pairs of feet in six colours with new textured surfaces. Made from non-slip soft plastic. Size: approx. 145 x 145mm. Size: approx. 100 x 200mm. Excellent for road safety, traffic awareness and role play. Easy to assemble and pack away. Can be used indoors and outside. A great way of encouraging children to give and follow directions as well as develop coordination and muscle control. Size of wheel: 180mm dia. Handle: 700mm. Early Years | Gross Motor Skills Step-a-Forest 74604 Pk22 Tree-themed stepping blocks with nonslip surfaces, a great addition to any physical play collection. Perfect for developing balance, coordination and collaborative play skills. Contains 6 stumps (288mm), 2 Y-shaped logs (460mm), 8 straight logs (480mm) and 6 leaves (265mm) in two zipped bags for convenient storage. Step-a-Stones 53899 Pk6 Sturdy plastic stones with non-slip surfaces, connected with ropes for adjusting distances between steps. Size: 130 x 230mm dia. Step-a-Logs 72227 Pk6 Stepping logs with ribbed surfaces to help prevent slipping. The logs are connected with ropes for adjusting distances between steps to increase or decrease difficulty. Size: 100 x 500 x 100mm. Balancing Path 75080 Pk28 Detachable blocks in 6 colours which can be slotted together using the 4 connectors to form a variety of walking paths. Size of straight blocks: 290 x 100 x 50mm. Activity Wall Panels 76083 Aeroplane	Size: 1800mm long 76023 Crocodile	Size: 1745mm long Activity wall with five sections, each with a different set of manipulative activities to encourage hand-eye coordination and fine motor skills, including: percussive instruments, a mirror, magnetic pen and balls, various mazes and threading activities, rotational pieces and interlocking cogs. Each set contains 5 panels with fixing holes and attachment screws for easy wall fitting. Made from MDF and recommended for indoor use only. Activity Wall Panels 76091	Elephant 76027	Hippo 76029	Bear Wooden wall games providing a range of interesting manipulative activities for a single child or group of children playing and exploring together. They are excellent for the development of hand-eye coordination, finger control and fine motor skills. Also providing problem solving challenges appropriate for young children, whilst engaging them in conversations about what they are doing. Includes fixing screws. Made from MDF and recommended for indoor use only. Size: 910 x 320 x 45mm. Activity Wall Set	76089 Pk3 Set of wall activity panels to engage children in cross-curricular learning. Panels are styled as a brown horse with wire beads and moving gears, a yellow giraffe with fruit puzzle blocks to mix and complete, and a black and white zebra with colourful shapes to identify and match. Includes fixing screws. Made from MDF and recommended for indoor use only. Size of each panel: 360 x 550 x 35mm. Garden Activity Cube 76110 Brightly coloured insect-themed wooden activity cube with removable lid, incorporating a variety of physical and visual challenges over 5 different surfaces to help children learn whilst they play and develop their fine motor control. Size: 360 x 200 x 200mm. Small Bead Fun Set 76114 Pk4 A set of 4 individual bead mazes with a variety of different coloured beads and wires for children to investigate and manipulate. Ideal for focused play requiring concentration, coordination and fine motor skills. Size of each: 95 x 105mm. Buttons, beads, pegs, tweezers and laces are an ideal combination of resources for young children to improve their fine motor skills and develop hand-eye coordination. They can also be used to create simple patterns and sequences, for colour recognition and for counting and sorting activities. 73099 Pk634 Bumper pack of over 630 translucent acrylic colour resources and laces, ideal for using on a light panel for early investigation and exploration of colour, shape, pattern, counting & sorting, fine motor skills, construction and creative play. Includes activity guide in 7 languages, and a plastic container for convenient storage. Size of largest brick: 64 x 32 x 24mm. Lace length: 600mm. Small pegs in 5 bright colours. Develop fine motor skills by squeezing the pegs together to make patterns and structures. Also ideal for attaching artwork to a line or for hanging fabrics to create dens. Chunky tweezers in 6 assorted colours. Includes plastic container for convenient storage. Early Years | Fine Motor Skills Stackable Translucent Buttons 73071 Pk144 + 12 Laces Set of mixed shape buttons in 6 colours with 1, 3 or 5 holes in the centre. Ideal for sorting and counting activities, or for developing fine motor skills by stacking or threading with the laces. Includes plastic container for convenient storage. Size of square: 45mm. Lace length: 600mm. An excellent resource for supporting physical development and mathematics. 44 buttons in 5 sizes and 5 colours, with 6 coloured laces and 4 smile-head laces. A colourful assortment of large buttons. Ideal for threading, sorting and sequencing. Size of buttons: 35-75mm. Lace lengths: approx. 550-770mm. Fine Motor Skills | Early Years Translucent Jumbo Lacing Beads 73085 Pk180 + 12 Laces Large pack of lacing beads in 6 shapes and 6 colours with 12 laces. Use for colour and shape recognition, fine motor skills, pattern and sequencing, or sorting and counting. Includes plastic container for convenient storage. Size: approx. 20-30mm. Lace length: 600mm. These beads are ideal for developing fine motor skills, counting, sequencing and colour recognition. 3 shapes and 6 colours with 2 laces. Good for developing manipulative skills and encouraging early mathematical understanding. 3 shapes and 4 colours with 2 laces. Size of beads: 22mm. Lace length: approx. 900mm. Size of beads: 45mm. Lace length: approx. 900mm. 76016	Set of all 4 Ideal for use in storytelling, developing descriptive language or creative play. Each lacing set includes 12 colourful double-sided wooden character blocks and one lace. The lace is threaded with a small wooden bar making it easy for small hands to use. Size: approx. 60mm. Threading fruits promoting hand-eye coordination and sequencing skills. Large chunky pieces are easy for small hands to manipulate. Excellent too for sorting, matching, and to promote discussions about healthy eating. Includes 1.3m lace. Three wooden blocks with holes and wooden threader, ideal for developing manual dexterity and hand-eye coordination. Includes cylinder, cube and octagonal prism. Size: approx. 60 x 65mm. 76007 Transport - Car, Boat & Plane Pk3 76065 Insect - Snail, Butterfly & Ladybird Pk3 76005 Animal - Dolphin, Turtle & Hippo Pk3 Each of these wooden puzzles contain 4-5 raised pieces perfect for little hands to manipulate. It is a great introduction to colours & shapes and for developing fine motor skills. Size of base: 145 x 145 x 9mm. Puzzle piece depth: 12mm. Wooden Memory Games 76132 Animal Pk28 76134 Transport Pk28 Fun early years memory games where children must hide, reveal, remember and match identical pairs of vehicles or animals. Each set contains 14 pairs of smooth birch plywood hexagonal counters printed on one side with a variety of colourful images, supplied in a cardboard cylinder container for convenient storage. Size of hexagon: 63mm at widest point. Work Bench Truck 76112 A multi-task truck which opens up to reveal a variety of colourful wooden and plastic tools. A hammer, screwdriver and spanner are stored on the side of the truck, and can be used to twist, turn and tap the pegs, bolts and cogs into holes in the plywood truck interior. Excellent for children to develop motor skills and logic whilst engaging in imaginative play. Pull string attached to front of the truck. Driver included. Size: 250 x 216 x 136mm. Durable plastic activity cards for use with the Nuts & Bolts set (72255) to improve fine motor skills, as well as learning about colours, shapes and numbers. Includes convenient ziplock bag. These jumbo links in 4 bright colours are good for sorting, counting and patterning. The design is suitable for small hands to connect and separate. Size of link: 73 x 50mm. Spiral Ball Runner 74060 A simple and colourful giant ball run, easy for children to construct then watch the 4 balls as they roll down the chutes to the bottom. Engages logic and develops coordination as well as encouraging collaborative play. Size: 400mm. Pounding House 76100 Brightly coloured wooden house with clicker flower and colour-coordinated holes for the 4 matching blue, green, orange and yellow balls to be tapped through using the mallet. Great for motor skills, hand-eye coordination and colour recognition. Size: 200 x 165 x 145mm. Heuristic Play Starter Pack 73935 Pk63 Contains 10 x rings 70mm, 10 x rings 48mm, 6 x cubes 40mm, 10 x egg cups, 10 x spools, 10 x balls 50mm, 3 x bowls 70mm, 3 x bowls 92mm and 1 x ring stand base. Includes drawstring bag (380 x 420mm) and information sheet. The word heuristic derives from the Greek word “eurisko” meaning “I discover” and describes an intuitive way of meeting challenges and solving problems. Our range of beechwood heuristic play resources provides an opportunity to capitalise on toddlers’ curiosity about the objects that make up the world around them and provides valuable opportunities for extending children’s learning. The open-ended nature of heuristic play encourages children to explore and investigate in their own way, applying their own creative ideas and building on their own experiences. Heuristic Play Basic Set 73937 Pk20 Contains 1 each of the following: ball 50mm, ball 60mm, wheel 40mm, wheel 50mm, cube 40mm, cube 50mm, egg cup 63mm, egg cup 70mm, bowl 70mm, bowl 92mm, ring 48mm, ring 56mm, ring 70mm, napkin ring, semisphere, disc, barrel, conical figure, spool and onion top. A drawstring bag (380 x 420mm) and guidance notes included. Wooden Rainbow Stacking Rings 76102 Smooth wooden stacker in bright colours comprising 7 stacking pieces on a rounded base which provides an entertaining wobbly element. Ideal for children to practise early pattern and sequence activities whilst learning about colours, utilising logic and developing coordination and motor skills. Size: 193 x 110mm dia. Wooden Blocks Set 76003 Pk100 Develop fine motor and construction skills with this classic wooden block set. 100 pieces of different shapes and sizes with a mixture of natural wood and brightly coloured blocks. Size of cube: 30mm. Jumbo Blocks Set 95178 Pk54 Large solid wooden blocks in traditional construction shapes packed in a wooden tray for convenient storage. Size of tray: 430 x 520 x 95mm. Rainbow Bricks 73380 Pk36 Giant visually stunning building bricks made from beautiful rubberwood with colourful acrylic inserts (translucent red, green, blue, yellow, clear and mirror). The set includes 24 large and 12 small bricks with rounded corners, ideal for building and stacking. Children will enjoy looking through the blocks to see a world in different colours, and using the mirrored blocks to examine reflection and expression. Size of large brick: 200 x 75 x 75mm. Size of small brick: 100 x 75 x 75mm. Sensory Squares 73287 Pk7 7 beautiful rubberwood sensory squares promoting observation and exploration for the younger child. The acrylic inserts are translucent red, yellow, green and blue, a magnifier, plane mirror & concave/convex mirror. Size: 140 x 30mm. Sensory Blocks 73281 Pk16 Large rubberwood shapes with brightly coloured sensory centres containing beads, transparent acrylic, coloured sand, and water/glitter filled pockets. The awardwinning blocks come in 4 different shapes (square, rectangle, triangle and semicircle) and promote observation in the wider sense, as each shape has its own identifying colour regardless of contents, e.g. the squares are all red. Size of rectangle: 140 x 70 x 40mm. Large Mirror Block Set 73376 Pk8 Large rubberwood shapes with double-sided acrylic mirror inserts. Ideal for shape recognition, for use on a light panel, simple block building and for reflective pattern-making. These are the same size as the Sensory Blocks so form a natural extension to this set. Size of rectangle: 140 x 70 x 40mm. Rainbow Blocks 73275 Pk24 Smaller smooth rubberwood blocks in 6 shapes and with 4 different transparent coloured acrylic inserts for building, comparing, shape recognition, colour mixing and for use on a light panel. Size of rectangle: 100 x 50 x 25mm. Mirror Block Set 73378 Pk24 Smaller smooth rubberwood shapes with double-sided acrylic mirror inserts. Made to promote simple shape recognition, early tactile hands-on construction and curiosity. These are the same size as the Rainbow Blocks so form a natural extension to this set. Size of rectangle: 100 x 50 x 25mm. Chunky Soft Brick Set 74050 Pk45 Soft, flexible plastic building bricks, ideal for younger children to engage in imaginative construction activities. The pieces fit together neatly and are easy for small hands to pull apart. The variety of shapes and sizes in the set enables a good range of designs to be built. Size of largest brick: 115 x 56 x 36mm. SiliShapesÂŽ Soft Bricks 54515	Pk24 54529	Pk72 Made from soft and flexible silicone these colourful translucent bricks are perfect for young children and toddlers. They can be used for construction, early maths activities, sand and water play, small world play and are ideally suited for play on a light panel. The smaller set consists of simple 2-stud bricks, the larger set contains a variety of 1- to 8-stud square and rectangular bricks. Easily cleaned after use in soapy water or in a dishwasher. Includes activity guide. Size of 2-stud brick: 75 x 37.5 x 25mm. Translucent Module Blocks 73081 Pk90 Interlocking building blocks in 6 colours and 4 sizes, ideal for improving fine motor skills through imaginative play. Colourful constructions look even more striking when built on a light panel. Includes plastic container for convenient storage. Size of largest brick: 64 x 32 x 24m. Translucent Colour Blocks 73083 Pk50 Mixed building blocks in 6 colours and 6 shapes, including circular and rectangular pillars, triangular prisms, cubes and bridges. Includes plastic container for convenient storage. Size of cube: 33mm. Magnetic Block Set 50150 Pk36 A super magnetic construction set containing a range of differently shaped and sized blocks for creating vehicles, buildings and abstract designs. Each block contains smart magnets that rotate in any direction to find polar opposites, ensuring a secure magnetic connection with a satisfying click when pieces are placed adjacent to each other. Includes ideas for construction. Size of vehicle chassis: 98mm. 50152 Pk68 A colourful bumper magnetic construction set with blocks and tracks containing smart magnets that rotate to connect in any position with a satisfying click. The set can be used to create a wide range of different ball run designs. Ideal for creative design, problem solving, collaborative play and developing communication skills. Includes ideas for construction. Contains 38 magnetic cubes (14 x 90-degree bend; 14 x straight; 10 x empty ), 8 x long tracks, 6 x short tracks, 4 x 90-degree bend tracks, 4 x 180-degree bend tracks, 4 x ramps, 2 turrets and 2 x wooden balls. Size of cube: 60mm. Long track: 180mm. Rainbow Pebbles Classroom Set 54107 Pk302 A bumper set of construction and early mathematics manipulatives, ideal for developing fine motor skills, and for counting, sorting and creative design activities. Contains 252 assorted pebbles in 6 sizes and 6 colours, 47 double-sided activity cards and 3 spinners in a plastic container for convenient storage. Size of largest pebble: 85mm. 2cm Linking Cube Set 54009 Pk546 Set includes 500 blocks in 10 bright colours, comprising 400 cubes, 50 triangles & 50 quadrants, as well as 4 base boards and 42 x 2-sided activity cards in a plastic container for convenient storage. The double-sided cards become more challenging as the numbers increase and contain a variety of ideas for recreating familiar images and designs, creative construction, learning about shape and space, and exploring pattern and sequence. Also ideal as a maths set - see page 116 for details. Multi-Storey Garage 76104 Wooden garage with 3 parking levels, a lift, helipad and 3 curved ramps for individual or small groups of children to explore their imagination and enjoy collaborative play. 2 people, 2 vehicles and 1 helicopter included. Self-assembly with screwdriver required. Size: 475 x 310 x 125mm. Colourful lorry with a wooden cab, decks and 4 wooden cars. Trailer is detachable and the top deck drops down. A fun small world toy for inspiring imaginative and collaborative play. Chunky natural beech wood vehicles representing the 3 main emergency services. Ideal size for small hands to manipulate and manoeuvre in imaginative or small world play. Size: 90 x 75 x 43mm. Sound & Light City Blocks 76136 Pk81 Colourful painted wood building blocks to construct a hospital, police station, fire station and school, as well as 4 vehicles with light and sound features, and 4 drivers which can be fixed to the vehicles. They are suitable for younger children for stacking and arranging in small world play scenarios, and for older children as a creative construction system. All the blocks are interchangeable for extended imaginative play and the set is ideal for developing descriptive language & communication skills. 8 x AAA batteries required. Size of bus: 125mm. 8 building blocks, school bus (10 blocks) and a bus driver. 10 building blocks (6 with connector features), police car (9 blocks) and a policeman. 9 building blocks, fire engine (9 blocks) and a fireman. 11 building blocks (8 with connector features), ambulance (11 blocks) and a paramedic. Imaginative Play | Early Years “These wooden animal blocks have been the most played with resource since they arrived and proved great for open-ended play. The blocks are very well-made and smooth to the touch. They are exactly the right size for small hands and can be easily cleaned. We found they encouraged children to engage in lots of educational discussion about the animals, using new vocabulary about the noises they make, where they live and characteristics such a stripes and spots.” Practical Pre-School Award judges. Wooden Forest Animal Blocks 72304 Pk30 Chunky birch plywood blocks colour printed on both sides with real images of wild animals from forest and woodland environments, perfect for young children to engage in imaginative play and develop their descriptive language skills. Includes insects, birds, reptiles and mammals representing a variety of recognisable species. Size of bear: 165 x 113 x 20mm. “These blocks provide a great prompt for developing imagination and small world play. They are strong, durable and practical. The pictures are visually appealing for all ages and they can be added to other toys or played with on their own. They are great for increasing vocabulary, talking about people who help us and learning about the world.” Practical Pre-School Award judges. Chunky birch plywood blocks colour printed on both sides with real images of farm animals, farmers, scenery and a tractor, perfect for young children to engage in imaginative play and develop their descriptive language skills. Size of barn: 195 x 280 x 20mm. “This is a lovely product that is very versatile. The blocks proved immediately appealing and sparked lots of discussions around the children’s observations of people – with children listening to their peers’ ideas and thoughts, and then contributing their own. They have been used in imaginative role-play, and encourage turn-taking. We liked that they were suitable for all age groups and are easy to store because they are flat.” Practical Pre-School Award judges. Chunky birch plywood blocks colour printed on both sides with real images of people from a range of communities, perfect for young children to engage in imaginative play and develop their descriptive language skills. Includes children and adults representing a variety of ages, professions, cultures, religions and disabilities. Size of vet: 123 x 60 x 20mm. Soft Rubber Animals Specially designed for young children, these attractive sets have been individually hand crafted using environmentally friendly rubber. The animals are flexible to the touch with squeezy soft bodies and are beautifully painted. 74858 Farm Set Pk4 Cow, pig, sheep and horse. Size of cow: 180mm. Pack includes 7 lengths of fabric in red, orange, yellow, green, blue, indigo and violet. Beautiful organza cloth with a sparkly crystal lustre in the seven colours of the rainbow to create fascinating visual effects. They will provide textural and visual stimulation, enhance music and movement, soften the environment and are ideal for role play. Imaginative Play | Early Years Wooden 5-Feature Kitchen 76120 The 4 individual units have cut out handles in the sides for easy moving and include 5 main features: Sink unit with moving tap, removable plastic bowl and double cupboard doors. Cooker unit with 4 rings, 5 clicking dials and oven with patterned shelf. Washing machine with clear view round door, 2 clicking dials and dispenser slot. Tall unit contains a fridge with water dispenser image and internal shelf, and a microwave with painted base plate and a clicking dial. Size of sink, cooker and washing machine units: W385 x D345 x H530mm (Tap +145mm). Size of fridge unit: W385 x D345 x H760mm. Wooden Cooker & Sink Set 76124 Simple 2-piece kitchen set, ideal for smaller settings or where space is limited. Sink and cooker unit features as above. Size: W385 x D345 x H530mm (Tap +145mm). Play Shop & Theatre (2 in 1) 95987 2 in 1 wooden play shop and theatre. On the shop side is a counter and three shelves for produce and on the other side a theatre with red curtains and a blackboard with clock. An excellent aid for role playing and imaginative thinking. Accessories, including the fruit and crates shown, are available separately. Lockable castors. Requires assembly. Size: 670 x 390 x 1200mm. Wooden Brushes 75029 Pk4 Sturdy, functional brushes the correct size and weight for children to use effectively. Use to encourage pride in keeping the setting tidy as well as props for role play. Size: 730mm. Imaginative Play | Early Years Colour Match Eggs 74064 Pk12 A plastic egg box containing a dozen eggs which each pull apart to reveal brightly coloured centres with numbers to match with their corresponding pegs and holes. Ideal for learning to count, number recognition and colour matching. Size of carton: 296mm. Egg dia. 45mm. 74066 Pk12 A plastic egg box containing a dozen eggs which each pull apart to reveal brightly numbered “yolks” to match with their corresponding pegs and holes. Ideal for learning to count and number recognition. Wooden kitchen appliances, ideal for role play or the home corner. Size of carton: 296mm. Egg dia. 45mm. Fruit & Vegetable Colour Sorting Set 95988 5 stackable wooden crates filled with 20 beautifully shaped wooden fruit and vegetables, all brightly colour coded to match their crate. An ideal resource for imaginative play or role play, to learn about healthy eating, to improve coordination and motor skills, or can be used to develop sorting, shape recognition and matching skills. Size of crate: 112 x 150 x 67mm. Stacked height: 350mm. 7 pieces of familiar food made from solid wood and painted to look like 3 pieces of sliced bread, baguette, burger, tomato, egg, large red chilli and an apple. Comes with 2 play knives and chopping board, supplied in a wooden box for convenient storage. 8 pieces of familiar vegetables made from solid wood and painted to look like a carrot, aubergine, mushroom, green pepper, onion, garlic bulb, tomato and chilli. Comes with knife and chopping board, supplied in a wooden box for convenient storage. 8 familiar fruits made from solid wood and painted to look like a pear, orange, kiwi, banana, apple, lemon, watermelon slice and tomato. Comes with knife and chopping board, supplied in a wooden box for convenient storage. Exploration Circle Set 38070	Clear Trays 38062	Colour Trays A perfect environment for exploration and investigation at an ideal height for children. Both sets contain 4 quadrant trays in a 4-legged sturdy metal stand, including 2 legs with micro-adjusters in the feet for use on uneven surfaces. Size: 460mm high. Circle: 800mm dia. Tray: 540 x 380 x 150mm. Single quadrant tray and stand unit. The stand folds flat and has a simple locking bar mechanism making it an ideal resource to use indoors and out. Size: 460mm high. Tray: 540 x 380 x 150mm. Flexible, waterproof plastic cover with elastic lip to keep the contents of the Exploration Circle clean and dry. Size: 800mm dia. Activity Water Tray & Stand 72250 This large activity water table features two basins for water, deep and shallow. Deep sides provide large play spaces for a variety of different activities, there are two clear locks between shallow and deep basins which allow children to experiment with transferring floating objects between them. Water wheel, steps, locks and slipway designs give different ways for children to observe and play, also to further develop their emotional, social, physical and cognitive skills. The tray is designed for easy drainage and made from durable plastic. Size: 1320 x 770 x 580mm. Circular Water Tray & Stand 72258 Beautifully designed versatile clear water tray with central helter-skelter for use as a water channel and an outer trough which together stimulate imaginative play. Made from tough clear plastic with powder coated tubular steel support frame, it includes a drainage valve and plastic lid. Size: 580 x 750mm dia. Exploration | Early Years Clear Sand & Water Tray with Stand	72330 Clear tray in a folding sturdy steel frame with a nylon shelf and two castors to allow easy movement around the classroom or outdoors. Size: 700 x 500 x 480mm. Clear plastic sand and water tray, ideal for early childhood settings with limited space. Stackable sand and water trays are ideal for early years settings and classrooms with limited space. Set of 4 in blue, yellow, red and green. Size: 700 x 500 x 150mm. Early Years | Exploration Clear Water Tray & Stand 75096 Tray with 40cm stand 72263 Tray with 58cm stand Ultra strong, purpose-moulded clear water trays with blue lightweight tubular steel stands. Lockable castors allow easy movement and a sturdy lid with holes for lifting is provided to keep the contents clean. Drain plug allows easy emptying. Size of tray: 1100 x 605 x 215mm. 72308 Explore sand and water play with the activity rack, specially designed to fit securely onto the clear water trays (72263 & 75096) which are sold separately. There are hooks on the side and the top of the sturdy frame to hang buckets, jugs, watering cans, and spray bottles (see page 75). Size of frame: 1270 x 730mm. Sand & Water Play Jug Set 72244 Pk3 Three different sized pouring jugs made of flexible high impact plastic. Size: 250ml, 500ml & 1000ml. Boat Activity Set	74020 Pk10 Brightly coloured play boat with sand & water accessories neatly stored inside. Ideal for exploring sand and water properties and imaginative play. Supplied in a net bag. Size of boat: 360mm. Sand & Water Play Funnel 72246 Made of durable plastic with a large handle for young children, the funnel is a great addition to sand and water play activities. Size: 105 x 65 x 140mm. The spray bottle has a blue adjustable nozzle and the green pump bottle can be locked closed for safe storage. Large activity set comprising: Sand & Water Play Funnel, Water Blaster Pipette Set, Water Play Spray Bottle, Water Play Pump Bottle, Plastic Hoses, Sand & Water Play Jug Set, Spoon Set & Cups Set. Designed for young children with a soft squeeze ball. Extremely durable for long lasting fun. Size: 29.5ml, 59ml, 79ml, 118ml, 236ml. Size: 1/8tsp (0.62ml), ¼tsp (1.25ml), ½tsp (2.5ml), 1tsp (5ml), 1½tsp (7.5ml), 1tbsp (15ml). Sand & Water Play Set 74022 Pk35 Set of 5 soft yellow plastic buckets, each filled with 6 sand and water toys. Perfect for several small groups of children to collaboratively explore sand and water play. Size of bucket: 170 x 115mm dia. Mega Sand & Water Play Set 74018 Pk110 Super sized set of sand and water play tools containing 110 pieces, including buckets, spades, scoops, rakes, watering cans, spinners, sieves, moulds, turrets and boats. Ideal for large groups of children to engage in collaborative creative or messy play, indoors or out. Size of large bucket: 230 x 220mm dia. Exploration | Early Years Translucent Colour Bucket Set	73101 Pk6 Fun stackable colour buckets, the perfect size for children to use in explorative play with sand and water, or for colour mixing and matching. Colours match the Translucent Colour Jug Set (below & p101) so can be used together for extended play value. Size: 122 x 162mm dia. Translucent Colour Jug Set 73103 Pk6 Fun colour jugs, the perfect size for children to use in explorative play with sand and water, for colour mixing and matching, and to learn about measuring and volume. Colours match the Translucent Colour Bucket Set (above & p17) so can be used together for extended play value. Dishwasher safe. Size: 113 x 77mm dia. A varied collection of boats and ships ideal for small world and imaginary play in sand and water. The collection includes tugs, motor boats, small and larger sailing boats and sleek speed boats for use in a variety of play environments, sand trays and water troughs. A variety of plastic sand moulds for building impressive sandcastles. Moulded shapes include round towers, square corners, turrets and castellated walls. Includes 2 buckets, 2 scoops, 2 spades and 10 moulds. Ideal for large group participation. Size of large boat: 285 x 110 x 120mm. Large selection of trowels, scoops, rakes and sieves, in red, blue green and yellow. Children will build, sift, scrape, scoop, dig and make patterns. Ideal for larger groups and collaborative play. Large set of plastic moulding shapes with hands and feet (left and right), starfish, crabs, turtles, shells and fish. Children can design their own imaginary seascapes and rock pools or use the moulds to decorate other larger constructions. Size of sieve: 190 x 23mm. Set of colourful plastic spinners (2 each of 3 different designs) which will rotate when fed sand or water in the same way as a water wheel. The bases also act as sieves. When in motion, adjacent spinning wheels rotate in opposite directions. Children will love to use these robotic pick up, move and drop grabbers. They will become part of the machine and see technology in action. Size of large spinner: 325 x 130mm. Size: 390 x 140mm (open claw). Children will love to hold these claw hands and be transformed into demon excavators. The set comprises 4 each of 5 different designs. Rainbow Exploration Set 61100 Pk18 Bumper set of colourful exploration tools, including the Rainbow Magnifiers, Rainbow Viewers and Rainbow Tongs. Set includes 3 magnifying lenses with tough plastic frames and chunky handles, and a metal frame to hold the lens at the correct height for hands-free observation. The clear lenses come in 3x, 5x and 8x magnifications. A set of brightly coloured hand magnifiers, ideal for investigating bugs, leaves and patterns in nature. 3x magnification. Softie Marine Magnifiers	72422 Pk3 A set of 3 chunky marine animal magnifiers with lightweight softie EVA foam surrounds. The yellow turtle, blue fish and green frog magnifiers are the ideal size for young children to grip and look through, and each has a 2x magnifying Fresnel lens in the centre. They will float on water, enabling children to enjoy hands-free enlargement of objects placed in water trays. Size of turtle: 220mm. A set of observation pots with a magnifier in the brightly coloured push on lids. Ideal for investigating natural resources up close. 3x magnification. Brightly coloured scoops with scissor handles for safely capturing, holding and inspecting insects or plants. Size: 60 x 80mm dia. Smooth rubberwood frame contains a plastic lens with 2x magnification plus inset lens with 3x magnification. An excellent aid to observation. A handy junior lightweight metal detector, ideal for use indoors or out. With highlow sensitivity adjustment, durable ABS body, low electrical consumption and LED display. Includes information sheet. Requires 9V battery (not included). Acrylic Mirror Panels Made from scratch resistant acrylic these mirror panels are both safe and ideal for any classroom or nursery setting. Children are drawn to mirrors for the observation of themselves and objects. The convex mirror domes provide a distorted, fun and interesting view of the world for children to explore. They can be sited inside or outside and come with sticky pads and corner fixing brackets for attachment to any flat surface. Includes assembly instructions in 4 languages. 72416 Large Dome Set (490mm) Pk4 1 each of the single dome, 4-dome, 9-dome and 16-dome panels. Rubberwood frame with easy grip handles enclosing a double-sided concave and convex acrylic mirror in each side which produce fascinating inverted, skewed and magnifying reflections. Hand held acrylic mirror for collaborative group play and role play. Housed in a solid rubberwood outer, it is both extremely strong and easy to hold and manipulate by young children. Hand held acrylic mirror with EVA foam surround, easy handles and large reflective surface (240 x 138mm). Use for observation of reflection, self observation, role play, symmetry and speech development. Plane acrylic mirror with soft EVA foam surround - providing young children with a resource for role play or self reflection. Can also be used indoors or out as a mini observation arena, a small world environment and as a lightweight portable mirror. Size: 455 x 245 x 30mm. Size: 380 x 280 x 40mm. Softie Mirror Exploratory 72424 Made from rigid foam, the Mirror Exploratory is ideal for use in imaginative play, to create small environments or to look closely at man made or natural objects. The acrylic mirrored parallel sides reflect images backwards and forwards to infinity. Size: 450 x 350 x 300mm. The 90 degree angled acrylic mirrors reflect a centrally placed object an additional 3 times so children will see four images - one in front, and one in each side mirror as well as the original object. Comes as a flat pack. The right-angled acrylic mirror surfaces will encourage children to look closely at themselves or at natural and man-made objects, encouraging observation and concentration, promoting curiosity and enabling discussion. Ideal for using different objects in each quadrant, promoting turn-taking and teamwork. Size of base: 380mm. Panels: 300 x 300mm. Size of base: 300mm. Panels: 340 x 285mm. Softie plane mirrors with jigsaw profiles in four colours. They can be hand held, free-standing or wall mounted to create a stunning display. Includes adhesive pads. Hand held EVA foam surround acrylic mirrors with plane (purple, blue and yellow), convex (red) and concave (orange) surfaces. Includes adhesive pads for wall mounting. Safe acrylic mirrors with EVA surrounds are 30mm thick so they can be hand held or free-standing. Yellow, blue and purple surrounds all have plane reflective mirrors, red has a convex, orange has a concave. Colourful round wall mirror made using safe acrylic plastic surrounded by tough EVA foam frame. Comes with sticky pads for wall mounting. Size of blue square: 235mm. Understanding Feelings Set 72402 An intuitive set which has been designed to help children learn about feelings and communicate their emotions more effectively with others. The set contains 13 acetate faces portraying different expressions with an A3 poster providing a key, enabling children to discuss, observe and better understand how they and others feel. Also included for use with dry-wipe markers are 3 blank whiteboard faces, 3 blank clear acetate faces, 3 blank acetate mirror faces to observe selfexpression, and an activity guide in 4 languages. Size of faces: 210 x 185mm. Expression Mirror Faces 72400 Pk10 Set of safe blank plastic mirrors, shaped to resemble a childâ&#x20AC;&#x2122;s head. They can be used by children to observe their own facial expressions, to tell themselves and others about how they are feeling, or used with a dry-wipe pen to illustrate or mimic emotions. Additionaly ideal for use as a language development tool, enabling children to watch how they form phonic sounds. Size: 210 x 185mm. Message Mirrors can be used to prompt a response, consider thoughts, as a conversation piece, to discuss feelings and to encourage a positive self image. The messages are laser cut into the mirror surface, and each mirror is provided with double-sided sticky pads for easy fixing to a wall. Size: 200mm dia. Simply by looking at their own reflection and the centimetre scale etched onto the surface of the mirror, children can see how tall they are. Measuring from 70cm to 130cm and ideal for children up to age 7 approx. Comes with 8 sticky pads for fixing to a wall. This wall mirror is designed to be positioned at child height above the wash basin and provides a great way of reinforcing the importance of hand-washing for good hygiene. Size: 200mm dia. Size: 900 x 300 x 3mm. 73402 Pk32 Chunky birch plywood blocks colour printed on both sides with real images of people from a range of communities, perfect for young children to engage in imaginative play and develop their descriptive language skills. Includes children and adults representing a variety of ages, professions, cultures, religions and disabilities. Size of vet: 123 x 60 x 20mm. SiliShapes® Linking People 54513 Pk36 6 family sets of soft silicone characters each in a different transparent colour. Characters include granddad & grandma, mum & dad and girl & boy which can all be linked by their hands. An excellent resource for storytelling, language development, mathematical sorting, sequencing, pattern-making and for their proportional attributes (larger/smaller, taller/shorter, older/ younger). For science they can be used to help understand life cycles or on a light panel for colour mixing. They help develop fine motor skills and are ideal for small world play. Easily cleaned after use in soapy water or in a dishwasher. Includes activity guide in 4 languages. Size of largest character: 100mm. Magnetic Kids 76057 Pk4 A set of colourful wooden double-sided child characters, ideal for promoting conversations, questions and multicultural interest in younger children. Each of the 4 character blocks comes in 3 sections – a head, a body and legs. The hardwood blocks contain small magnets to allow easy attachment. There is a boy and a girl printed on opposite sides of the blocks giving 8 different characters in total to mix and match. Size of character: 125mm. Giant ClearView Sand Timer 92026 1 Minute (Green) 92030 3 Minute (Yellow) 92032 5 Minute (Blue) Enormous practical sand timer, ideal and strong enough for children to use for timing events or tasks. Its visual appeal, impressive size and shatterproof plastic outer barrier to protect the inner glass make it a highly versatile resource for any setting. Size: 325 x 270mm. Excellent for demonstrating dental hygiene and tooth care. Can be manipulated manually in a hand-puppet like fashion. Includes toothbrush and activity guide. Complete dental health education set, including the giant teeth demonstration model, toothbrush, 2 minute sand timer, 24 plaque disclosing tablets, 10 dental mirrors and activity guide. Size: 150 x 185 x 140mm. Sturdy 2x life-size model for identifying the different types and functions of teeth. Includes large toothbrush (360mm). Size of teeth outstretched: 450mm. Durable hinged adult teeth model with realistic details. Chew a tablet and it will show which parts of your teeth have plaque on them. Use with the dental mirrors to view those hard-to-see parts of your mouth. Dental mirrors for children to view those hard-to-see parts of their mouths especially useful alongside the use of disclosing tablets. Talking Tubes Starter Set 73952 The starter set includes 2 handsets and a 3 metre length of yellow tubing. Ideal for small areas or dens. Talking Tubes will encourage even the quietest children to communicate with each other. The simple telephone system carries sounds clearly over large distances via handsets fitted into tough plastic flexible hollow tubes, allowing conversations to take place indoors and out. Talking Tubes Telephone Exchange 73956 A large set including 8 handsets (4 red, 4 blue), 3 x 3m lengths and 12 x 1m lengths of yellow tubing, 6 in-line connectors and 6 ‘Y’ connectors to enable numerous networks to be made. Perfect for using with larger groups of children to develop listening as well as speaking skills. Forest Phones 73968 Camouflage style set includes 2 handsets and a 5m length of green tubing. Ideal for communication outdoors. Who’s Speaking, Who’s Listening Set 73970 This set has 6 coloured 1.5m length tubes with matching telephone handsets connected to a central hub. Ideal for promoting conversations, turn-taking and collaboration between a group of children. Also included are 6 colour coordinated blindfolds for games such as Chinese Whispers, describing a mystery object and using a disguised voice to play ‘guess who’s talking’. 12709	Dry Wipe 12711	Mirror Simple record and play buttons offer the opportunity to record up to 30 seconds of high quality sound and play it back with ease, indoors or outside. Children or teachers can write or draw pictures onto the device using a write on/wipe off pen or with the mirror version children can see themselves speak when making a recording. A snap on clear cover allows pictures to be inserted for use in science investigation or language work. In addition there are three sound levels for use in classroom environments or outside and a ‘record lock button’ to protect important recorded information from being erased (useful when linked to classroom displays). The device is shower proof and comes with a wall mounting slot and magnets. Includes information sheet in 2 languages. Requires 3 x AAA batteries (not included). Literacy | Early Years SiliShapesÂŽ Trace Alphabet 54505 Pk26 Award-winning colourful translucent alphabet set made from strong, soft and pliable silicone. Used in everyday play - in the sand pit, on the floor, on a light panel and in water - they are easily washable by hand or in a dishwasher. Arrows indicate the direction for correct letter formation. Height: 120mm. Mirror Letters 72399 70mm Pk26 72403 168mm Pk26 Laser cut double-sided lower case mirror letters, made from highly reflective 2mm acrylic. Use as manipulatives for children to trace around, for teacher demonstrations, or for classroom display purposes. A hole at the top balance point means they can be strung up or pinned to a notice board. Rainbow Letters 72419 Pk26 Lower case alphabet letters in a child friendly font made in colourful clear acrylic. Ideal for use on a light panel for letter recognition. A hole at the top balance point means they can be strung up or pinned to a notice board. Size: 70mm. Alphabet Stampers 72259 Pk26 Sturdy lower case letter stampers with easy-grip handles in a carry case enabling them to be used indoors and outdoors. Ideal for letter recognition, learning correct letter formation, and creative craft activities. An arrow above the handle ensures letters are stamped the correct way up. Contains lower case letters a-z. Size: 75mm. Transparent Letters 75114 Pk26 Upper case letters in colourful translucent plastic, ideal for developing letter recognition and for learning the order of the alphabet. Size: 50mm. Dry-wipe whiteboards with plastic frames in four colours. Surface suitable for magnetic resources, ideal for a range of uses. Mixer Truck Shape Sorter	76108 A wooden truck with a plastic “cement mixer” drum and 7 chunky colourful wooden shapes to sort and push into the matching holes. The mixer spins, tips and opens to empty. Pull string attached to front of the truck. Driver included. Size: 250mm. Colour Match Eggs 74064 Pk12 A plastic egg box containing a dozen eggs which each pull apart to reveal brightly coloured centres with numbers to match with their corresponding pegs and holes. Ideal for learning to count, number recognition and colour matching. Size of carton: 296mm. Egg dia. 45mm. Number Match Eggs 74066 Pk12 A plastic egg box containing a dozen eggs which each pull apart to reveal brightly numbered â&#x20AC;&#x153;yolksâ&#x20AC;? to match with their corresponding pegs and holes. Ideal for learning to count and number recognition. Size of carton: 296mm. Egg dia. 45mm. Maths | Early Years Translucent Colour Jug Set 73103 Pk6 Fun colour jugs, the perfect size for children to use in explorative play with sand and water, for colour mixing and matching, and to learn about measuring and volume. Colours match the Translucent Colour Bucket Set (p17 & p77) so can be used together for extended play value. Dishwasher safe. Size: 113 x 77mm dia. 36 stackable giant pegs in 6 bright colours and 3 shapes, with a 210mm square base board and 3 laces. Ideal for developing fine motor skills, counting, sorting and patterning. Large set of wooden lacing beads in 3 sizes, 4 shapes and 6 colours with two 550mm laces. Includes plastic container for convenient storage. Size of large square: 24mm. Early Years Maths Resource Set 73095 Pk498 Bumper pack of nearly 500 translucent acrylic colour maths resources and laces. Ideal for using on a light panel for exploring shape, pattern, sorting, attributes, whilst developing fine motor skills and creative play. Includes activity guide in 7 languages, and a plastic container for convenient storage. Size of large cube: 48mm. Lace length: 600mm. Numbers & Counting | Maths SiliShapesÂŽ Numbers 54509	Trace Numbers Yellow Pk10 54511	Dot Numbers Green Pk10 Transparent silicone numbers which are strong, soft and pliable and can be used in everyday play - in the sand pit, on the floor, on a light panel and in water. The 2 number sets come in different colours so they can be easily sorted when in use together. Ideal for all settings as the sets are easily cleaned after use in soapy water or in a dishwasher. Size: 120mm. Mirror Numbers 72401	70mm Pk14 72405	168mm Pk14 Laser cut double-sided mirror numbers from 0 to 9, including two styles of the numbers 4 and 7, and an additional 1 & 0. Made from highly reflective 2mm acrylic and ideal for use as manipulatives for children to trace around, for teacher demonstrations, or for classroom display purposes. A hole at the top balance point means they can be strung up or pinned to a notice board. Rainbow Numbers 72421 Pk14 Translucent acrylic numbers from 0 to 9, including two styles of the numbers 4 and 7, and an additional 1 & 0. They are ideal for use on a light panel to encourage numeral recognition. A hole at the top balance point means they can be strung up or pinned to a notice board. Size: 70mm. Maths | Numbers & Counting Number Stampers 72261 Pk26 Number stampers with easy-grip handles in a carry case enabling them to be used indoors and outdoors. Use for number recognition, learning correct number formation & creative craft activities. Contains numbers 0-10, dots 1-10 and operations symbols + - x Ăˇ = Size: 75mm. 72235 Pk10 Easy to use colourful bean bags printed with numbers 1-10 and their matching dots. Will help children to recognise and order numbers, learn to count, and engage in simple maths games. Size: 100mm. Calculators 52135	Student Calculator (112 x 68mm) 52145	Desktop Calculator (125 x 100mm) 38042	Calculator Class Set Dual power source (solar and battery, included), auto shut off, 8 digit LCD display, 3 key memory and four functions. Class Set contains 30 student calculators and 1 teacher calculator supplied in a foam-lined plastic container for convenient storage. Numbers 0-9 in colourful translucent plastic, ideal for number recognition, counting and sequencing. Size: 50mm. Translucent Colour Pot Set	73105 Pk18 Small stackable lidded pots in 6 translucent colours, ideal for use in explorative play, for colour mixing and matching, and as a stacking activity to engage logic and develop coordination. Colours match the Translucent Colour Jug Set so can be used together for extended play value. Includes plastic container for convenient storage. Size: 57 x 42mm dia. Counters are used in a variety of ways to improve fundamental mathematical skills. Children can develop sorting skills by grouping the counters by colour, size or shape; learn about pattern and sequence by creating a line using different coloured or shaped counters; improve numeracy by adding, subtracting, dividing or multiplying groups of counters; be encouraged to use mathematical language to understand maths processes, e.g. one more, take away, groups of, divide between; mix and match the counters to demonstrate that quantities are measured irrespective of the type of items being counted. Set of plastic counters, double-sided in 2 colours (red and blue). Translucent counters in assorted colours, supplied in a 1.5L plastic container for convenient storage. Size of counter: 22mm dia. 1cm Cubes 53375 Pk1000 1cm/1g cubes in 10 bright colours. Each cube displaces 1 cubic centimetre of water. Stacking Counters 72247 Pk500 Beautifully polished opaque plastic counters in 10 different colours that can be used for sorting, ordering, counting, pattern-making or stacked into towers. Size: 20mm dia. Translucent Colour Squares 54111 Pk300 Clear square tiles in 6 colours and 2 sizes, supplied in a plastic container for convenient storage. Ideal for using on a light panel for counting, sorting, pattern-making and colour recognition activities. Includes plastic container for convenient storage. Size: 19mm and 25mm. 54113 Pk500 Clear round counters in 6 colours and 2 sizes, supplied in a plastic container for convenient storage. Ideal for using on a light panel for counting, sorting, pattern-making and colour recognition activities. Includes plastic container for convenient storage. Size: 19mm and 25mm dia. Flower Sorting Trays 72211 Pk6 Set of large brightly coloured flower shaped sorting trays great for all counting, sorting and classifying activities. Size: 400mm dia. Depth: 40mm. 74198 Pk15 Smaller sorting rings in 3 colours to help children classify and count objects. Ideal for table top use. Size: 250mm dia. A set of folding sorting rings in 3 colours to help children classify and count objects. Use singularly or create Venn diagrams for sorting, comparing and attribute work. Size: 500mm dia. Counting & Sorting Set 52038 Complete sorting set with trays, bowls, counters and dice - ideal for counting, sorting, patterns, shape and colour recognition and using for general mathematical processes. Contains large rectangular sorting tray with 6 coloured sorting bowls (150mm dia. ), 36 fruit counters, 36 transport counters, 36 bug counters, 36 farm animal counters, 250 round colour counters, 100 plastic shapes, 102 links, 72 stacking counters, 40 dinosaur counters, 3 spinners, 16mm dice and activity guide. Size of tray: 400 x 300mm. Back Pack Bear Counters 53078 Pk96 3 sizes of bear in 6 colours. 24 large 35mm (12g), 24 medium 30mm (8g), 48 small 25mm (4g). Coloured Sorting Bowls First Sorting Set 53841	First Sorting Set 72417	Tray Only Round sturdy injection moulded sorting tray with 40 x 40mm tropical fish, 20 x 12g backpack bears in 4 colours, 12 x 25mm plastic cubes in 6 colours, 60 x 32mm round counters in 6 colours. 53842 Pk6 Set of six coloured bowls, made of sturdy plastic. Ideal for matching and sorting activities. Size: 40 x 150mm dia. Size of tray: 325mm dia. 3D Connecting Camels 54300 Pk96 54302 Pk120 Meets several numeracy curriculum requirements. Explores number, algebra, shape & space, measurement and data. Promotes counting, number recognition, estimation and mental maths recall. Cyclic patterns, perimeters and measuring can be explored by connecting camels together. Three sizes (weight related) in 6 bright colours. Connecting Camels Sequencing Cards 54312 Pk20 Laminated colour cards to use with Connecting Camels* for sequencing activities, with 5 levels of difficulty. *Camels not included and available separately (54300, 54302). SiliShapesÂŽ Linking People 54513 Pk36 6 family sets of soft silicone characters each in a different transparent colour. Characters include granddad & grandma, mum & dad and girl & boy which can all be linked by their hands. An excellent resource for storytelling, language development, mathematical sorting, sequencing, pattern-making and for their proportional attributes (larger/smaller, taller/shorter, older/ younger). For science they can be used to help understand life cycles or on a light panel for colour mixing. They help develop fine motor skills and are ideal for small world play. Easily cleaned after use in soapy water or in a dishwasher. Includes activity guide 4 languages. Size of largest character: 100mm. Shape Link Activity Set 54053 Students develop important skills - sorting & classifying, patterning & sequencing, logical reasoning, creative design and basic numeracy. Contains 360 links in 3 shapes & 6 colours and 20 double sided activity cards in a plastic container for convenient storage. Size of square: 30mm. Clear Junior Rainbow Pebbles 54109 Pk36 An appealing early construction and manipulative set, ideal for developing fine motor skills. The smooth pebbles come in 3 shapes and 6 soft translucent colours, supplied in a plastic container for convenient storage. Size of longest pebble: 75mm. Rainbow Pebbles 54047 Pk36 Children will have fun with this construction and early mathematics manipulative. Ideal for developing fine motor skills, counting & sorting and creative design. Contains 36 pebbles in 6 sizes and 6 colours and 20 activity cards in a plastic container for convenient storage. Size of large pebble: 85mm. Geo Pegboard Activity Set 54043 Ideal for developing fine motor skills, patterning & sequencing, creative design, addition & subtraction and logical reasoning skills. Contains 4 EVA foam boards that can be joined together, 144 pegs in 6 colours, 12 laces, 12 double-sided activity cards supplied in a plastic container for convenient storage. Size of board: 215mm. Sorting, Pattern & Sequence | Maths Peg Boards & Pegs 52440 5 white peg boards with 1000 pegs in 5 bright colours for pattern, sequencing, counting and sorting activities. Size of board: 157mm. 53909 Pk1000 1cm cubes in 10 bright colours. Can be used for patterns and sequencing as well as counting and sorting, creative construction and to develop fine motor skills. 72 hardwood beads in 5 colours and 5 shapes with 10 plywood sequence panels, 10 threading poles and 2 sequencing cords. Excellent for pattern & sequence activities and the development of fine motor control. Includes wooden container for convenient storage. Size of box: 335 x 330 x 40mm. Maths | Sorting, Pattern & Sequence 2cm Linking Cube Set 54009 Pk500 Set includes 500 blocks in 10 bright colours, comprising 400 cubes, 50 triangles & 50 quadrants, as well as 4 base boards and 42 x 2-sided activity cards in a plastic container for convenient storage. The double-sided numbered cards become more challenging as the numbers increase and contain a variety of ideas for learning about patterns and sequencing, recognising and creating 3D shapes, understanding different mathematical processes, and creative construction. Also ideal as an early years construction set - see page 60 for details. Size of cube: 20mm. Linking Cubes provide mathematical learning experiences in developing childrenâ&#x20AC;&#x2122;s skills in counting, classifying, addition, subtraction, place value, measuring and patterning. A versatile and robust learning tool for all levels of proficiency which will easily meet the rigours of the classroom. 2cm Linking Cubes 53835 Pk100 53837 Pk1000 2cm cubes in 10 bright colours which fix securely together for use as a mathematical aid or to create imaginative constructions. Use alone or with the baseboards (53839). Use with 2cm Linking Cubes when constructions require a solid foundation. Size: 200 x 200mm. 10 Beadstrings 54103 Student 10 Beadstring (Bead 10mm dia.) Pk10 54105 Teacher 10 Beadstring (Bead 18mm dia.) Single Each string has 10 beads: 5 red beads and 5 white beads. Friction fit so beads stay in place. Each string has 20 beads, in groups of 5 red beads and 5 white beads. Friction fit so beads stay in place. Each string has 100 beads, in groups of 10 red beads and 10 white beads. Friction fit so beads stay in place. Mini Number Balances 53989 Pk10 Ideal for students to explore and study number concepts, addition & subtraction, multiplication & division, and numerical relationships. Each balance set includes 20 mini weights. Activity guide included. Size: 360 x 130mm. Number Balance 53889 A versatile tool for helping children find out about ‘balancing’ numbers. Includes 20 x 10g weights. Size: 655 x 210mm. Maths | Number Value Cuisenaire Rods 76087 Pk308 Full set of wooden maths rods in a range of different colours and lengths. Promoting mathematical quantity, value and number relationships, motor skills and creative awareness. Includes wooden container for convenient storage. Size of box: 325 x 175 x 40mm. Cube lengths: 10mm to 100mm. Base Ten Set 53833 Pk121 Helps illustrate the relationships between units, tens, hundreds and thousands and can help children visualise numbers when learning basic addition, subtraction as well as multiplication and division in 10s. Each block is marked in centimetre squares to highlight how each unit relates to it. Contains 100 cubes, 10 rods, 10 flats & 1 block. Size of block: 100 x 100 x 100mm. Place Value Abacus 75110 Set contains 3 stands, 9 rods, 81 abacus beads and 9 sets of 0-9 number tiles. Size of beads: 90 x 19mm. Fractions of Quantities 54057 A set of hands-on components to enable children to find the fraction of a given quantity, e.g. 2/5 of 20. It uses foam shapes, pegs, dice and cards to break down the process into manageable stages so that children understand exactly what is happening. The set was produced in conjunction with practising teachers. Includes activity guide. Size of circle: 200mm dia. Set of proportionally sized squares representing a whole, halves, thirds, quarters, fifths, sixths, eighths, tenths & twelfths in 9 distinct colours with printing on each piece. Supplied in a plastic container for convenient storage. Set of proportionally sized circles representing a whole, halves, thirds, quarters, fifths, sixths, eighths, tenths & twelfths in 9 distinct colours with printing on each piece. Supplied in a plastic container for convenient storage. Set of proportionally sized tiles representing one whole, halves, thirds, quarters, fifths, sixths, eighths, tenths & twelfths in 9 distinct colours. Size of 1 whole: 100 x 100mm. Size of 1 whole: 87mm dia. Size of 1 whole: 203 x 25mm. Single cube with dry-wipe surfaces which are suitable for use with magnetic resources. Colour may vary, red or green. Size: 120mm. Set of 6 blue cubes with dry-wipe surfaces which are suitable for use with magnetic resources. Size: 50mm. Set of polyhedral dice in assorted colours, supplied in a plastic carry case for convenient storage. Size of dice: 16mm. Soft moulded foam dice, ideal for classroom activities. Size: 75mm. Spot dice in assorted colours, supplied in a 1.5L plastic container for convenient storage. Size of dice: 16mm. Polyhedral dice in 5 different colours, two of each type. Number of sides: 4, 8, 10, 12 and 20. Embossed markings, rounded corners and made from high quality materials. Size: approx. 20mm. Probability | Maths Our playing card sets are suitable for all ages and abilities. Ideal for group or floor games, traditional card games, building number confidence, understanding patterns & sequencing, improving memory, learning by experience and using mathematical language. Suction Spinners & Whiteboards	54037 The whiteboards are printed with two concentric circles and provide a template for easy subdivision. Use in mathematical exploration including probability, place value, calculating, random number generation and much more. Set includes 10 dry wipe boards and 10 suction spinners with 100mm pointers. Jumbo Playing Cards 52856 Pk54 Approx. 2x standard size. Construction set to develop creative problem-solving and improve fine motor skills. Build 2 & 3 dimensional structures and introduce basic geometric shapes. Contains 80 sticks in 4 sizes and 4 colours, 40 connecting balls in 2 colours, 24 quarter circles, and 20 double-sided activity cards. Includes plastic container for convenient storage. Flexible sticks in 8 different lengths that snap together at multiple different angles to allow students to explore plane geometry. The set includes 80 sticks and 2 protractors, an ideal hands-on manipulative for students to investigate shape and area. Supplied in a ziplock bag. Size of long stick: 130mm. Size of sticks: 25-150mm. Protractor: 100mm. Improve fine motor skills and develop creative thinking skills with this construction set. Flexible plastic sticks in 8 different sizes snap together to create a range of pictures, shapes and patterns. An ideal hands-on resource for children and adults. The set includes 200 sticks and 20 x 2-sided activity cards in a plastic container for convenient storage. Size: 25-150mm. Translucent Hollow Pattern Blocks	73093 Pk180 Mixed pattern blocks in 6 shapes and 6 colours, for using in pattern and sequencing activities, for counting and sorting, or for colour and shape recognition. Compatible with Basic Pattern Block Cards (53985). Includes plastic container for convenient storage. Size: approx. 20-50mm. For pattern-making, sequencing, understanding geometric shapes, colour recognition, mixing and matching. Set contains 20 yellow hexagons, 30 red trapezoids, 30 orange squares, 45 blue parallelograms, 60 green triangles and 60 tan rhombi. Solid plastic 5mm thick pattern blocks in 6 geometric shapes and 6 colours. Cards available separately (53985). A4 double-sided pattern cards providing 2 levels of difficulty, ideal to practice matching skills and fitting shapes together. Use with Translucent Hollow Pattern Blocks (73093), Translucent Pattern Blocks (72249) or Plastic Pattern Blocks (52173). Supplied in a ziplock bag. Junior GeoLand 54051 A comprehensive mirror set to stimulate children’s imagination and allow them to explore symmetry and reflection with their creative designs. They will also want to look into the mirrors and see their own multi-image reflections. Includes 3 vertical acrylic mirrors, 1 semi-circular horizontal acrylic mirror, plastic frame with 15 degree graduations, 30 pattern blocks, 50 GeoStix® & 64 double-sided activity cards in a plastic container for convenient storage. Size of frame: 300mm. Attribute Blocks 53865 Pocket Set (square: 30mm) Pk60 53863 Desk Set (square: 54mm) Pk60 Each set contains 5 shapes in 3 colours, 2 sizes and 2 thicknesses. Supplied in a plastic sorting and storage container. Relational Attribute Blocks Set 52137 Pk60 Solid plastic geometrics in 5 shapes, 3 colours, 2 sizes and 2 thicknesses. Small shapes are ¼ of relative large shapes. Supplied in a plastic sorting and storage container. Size of large square: 75mm. Geoboards 53867 Pk6 Double-sided square geoboards in 6 colours with 24-pin circular array on one side and a 5 x 5-pin grid array on the reverse. Includes 120 elastic bands and activity guide. Size: 150mm. Geomirror 53895 Ideal for teaching geometry basics of symmetry, line reflections, transformations and congruence. Left or right handed suitability. Size: 150 x 100mm. Translucent Geometric Shapes	73075 Pk36 Set of small geometric solids in 12 different shapes and 6 colours. Ideal for learning shape names and attributes using a light panel. Includes plastic container for convenient storage. Size of cube: 50mm. Maths | Geometry Our range of geometric solids is ideal for understanding the characteristics of 3D shapes as well as their relationship with 2D shapes. Made from wood or plastic, the sets can be used in a variety of engaging ways for children to learn about area, volume, size and shape as well as the attributes of solid shapes, including nets, angles, edges faces and vertices. Small Geometric Solids 54083 Pk40 Set contains 10 different small 3D shapes, each one in 4 colours. Size of cube: 25mm. Wooden Geometric Solids 52177 Pk15 Beautiful smooth wooden geometric solids. Set contains 15 different 3D shapes. 75132 Pk12 Set contains 12 different medium-sized 3D shapes in 4 colours. Size of cube: 80mm. Set contains 17 different large 3D shapes in 4 colours. Ideal for exploring relationships between 2D shapes and 3D solids. Set contains 12 different geometric shapes made from durable plastic with rounded corners and edges. Includes corresponding soft plastic folding nets and activity guide. Liquid volume measurement set, including 5 nesting measuring bottles (capacity 200 - 3000ml), 3 measuring jugs, 5 measuring cups, and 6 measuring spoons. Translucent containers for holding 50ml, 100ml, 200ml, 250ml, 300ml, 500ml and 1000ml of fluid respectively. Made from autoclavable polypropylene. Demonstrate the relationships between shape, volume and area. Set of 6 hollow 3D shapes: cone, sphere, cylinder, cube, pyramid and rectangular prism. Made from polypropylene, these graduated beakers can tolerate temperatures up to 120Â°C. Sizes: 50, 100, 250, 500, 1000ml. Measuring and Pouring Set 53874 3 measuring jugs (250, 500 & 1000ml), 5 measuring cups and 6 measuring spoons. Measuring Cup Set 53873 Pk5 Free-standing measuring cups. Size: 29.5ml, 59ml, 79ml, 118ml, 236ml. Freestanding measuring spoons. Size: ⅛1/8tsp (0.62ml), ¼tsp (1.25ml), ½tsp (2.5ml), 1tsp (5ml), 1½tsp (7.5ml), 1tbsp (15ml). 37025 Pk3 Graduated measuring jugs. Sizes: 250ml, 500ml and 1 litre. Measurement | Maths 1/2 Litre Bucket Balance 53879 Durable plastic balance with clear removable graduated buckets that are easy for small hands to pour and measure. Buckets hold up to 500ml. Includes sliding compensator for level and accurate measurements. Size: 395 x 145mm. 1 Litre Pan Balance 53877 Strong and durable pan balance with 1000ml translucent graduated pans. Includes sliding compensator for calibration. Size: 385 x 280mm. 1 Litre Bucket Balance 75104 Durable plastic balance designed for learning weight and hands-on measurement. The clear removable graduated buckets are easy for small hands to pour and measure. Buckets hold solids or liquids up to 1000ml. Sliding compensator is for level and accurate measurements. Size: 470 x 170 x 130mm. Trundle Wheel & Counter 70025 Makes measuring long distances easy with its non-slip rubber tyre and multiple adjustment length handle. Counts up to 10,000 metres. 10m Wind Up Tape 52444 Marked in centimetres and millimetres on one side and inches on the reverse. Winds back into sturdy case. Size: 90mm dia. A hands-on way to communicate the concept of 1 cubic metre and explore the relationship with 1 cubic decimetre, 1 cubic centimetre and volume. Includes metre rule. A set of 10 x 1m tape measures marked in centimetres and millimetres. Giant ClearView Sand Timer 92026	1 Minute (Green) 92030	3 Minute (Yellow) 92032	5 Minute (Blue) Enormous practical sand timer, ideal and strong enough for children to use for timing events or tasks. Its visual appeal, impressive size and shatterproof plastic outer barrier to protect the inner glass make it a highly versatile resource for any setting. Our comprehensive range of sand timers offer a traditional visual demonstration of the passing of time. 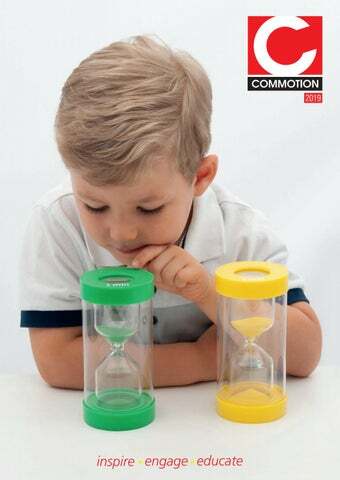 Easy to understand for young children, ideal for use in timed games or activities and for timing experiments in maths or science. The sand timers in all sizes are colour coded, with clearly marked moulded end caps and sturdy wall surrounds. Large Sand Timer 92028 30 Second (Red) 92034	1 Minute (Green) 92035	2 Minute (Pink) 92037	3 Minute (Yellow) 92040	5 Minute (Blue) 92019	10 Minute (Orange) 92022 15 Minute (Purple) 92025	30 Minute (Black) 92045	Set of 3 (1, 3 & 5min) Our best-selling sand timers with shatterproof plastic barrier to protect the inner glass. Size: 160 x 70mm. Ideal for group activities, with shatterproof plastic barrier to protect the inner glass. Size: 300 x 150mm. Mini Sand Timers 92001	1 Minute (Green) Pk3	92002 3 Minute (Yellow) Pk3 92003	5 Minute (Blue) Pk3	92004 Set of 3 (1min, 3min, 5min) 92005	Set of 30 (10 x 1min, 10 x 3min, 10 x 5min) Size: 90 x 25mm. Set contains one each of 30 seconds (red), 1 minute (green), 3 minutes (yellow), 5 minutes(blue) and 10 minutes (orange). Colour-coordinated sand timers in a plastic carry case for convenient storage. 4 each of 30 seconds, 1 minute, 3 minutes, 5 minutes and 10 minutes. Size: 90mm. Chunky soft touch timer with stopwatch. Will time up or down to 24 hours. Display shows hours, minutes and seconds. Large clear digital display (75 x 53mm) which times up or down in 1 second increments. Maximum time 99min 59sec. Integral stand and magnet mount with on / off switch. Includes information sheet. Requires 1 x AAA battery. Size: 90 x 48 x 45mm. Size: 100 x 105 x 21mm. Dual Power Timers 92079 Pk5 92081 Class Set Pk30 Handy sized timers with digital display (53 x 25mm) which can time up or down to 99min 59sec with a beeping alarm to notify when the time set has been reached. Having dual power functionality they are always charged and ready to go. Class set supplied in a foam-lined plastic storage container for convenient storage. Includes information sheet in 6 languages. Size: 65 x 65 x 13mm. Tell Time Flip Charts 53885 Student (358 x 107mm) Pk10 53887 Teacher (530 x 180mm) Single Teach analogue and digital time effectively with these free-standing flip charts showing the 12 hour clock face and numbers for the 24 hour or 12 hour digital time. The clock face has movable colour coded hands, easy for children to coordinate the hands with the time on the flip chart. With a 12 and 24 hour clock function, date and alarm. Features stop/start, lap & split time, mode and reset buttons. Includes L1154 battery and information sheet. Durable plastic clocks with colour coded geared hour and minute hands. Large 12 hour markings on the outer circle and smaller 24 hour markings on the inner circle make it easy for the student or teacher to demonstrate time telling. Includes built in stands for desktop use. Kit contains 24 student clocks (105mm dia. ), 1 teacher clock (300mm dia.) and activity guide. Size of display: 30 x 15mm. Target Maths 54501	Target Maths Set 54499	Additional Ball Set Pk9 Three large target boards showing numbers 10 to 100, 0 to 10 and 0 to 20. A set of 9 balls are included, which attach to the boards using a hook and loop mechanism. Designed to encourage children to play games using addition, subtraction and division, whilst also helping to develop better hand-eye coordination skills. Size of board: 450mm dia. The sturdy frame and smooth finished wooden black and red counters are of excellent quality and ideal for outdoor games. Play by making a row of four with your counters, for practising simple counting skills or for pattern-making. A great way to strengthen motor skills and logic, and to improve concentration. Simply remove the locking pegs at the side to flip the frame and let the counters fall out. Includes 42 counters (dia. 62mm) and assembly instructions in 4 languages. Giant hard-wearing solid beech wood dominoes, great for playing outdoors. With smooth finished edges and strong painted black dots, the dominoes can be used to play the traditional game - taking it in turns matching the equal dots until you have used all your dominoes - for number recognition practice, or for simple adding and subtracting games. Ideal for improving mathematical knowledge and confidence. Size of frame: 600 x 480 x 220mm. Size of domino: 75 x 150 x 15mm. Half scale model of the human skeleton. All of the main joints move including the shoulder, elbow, wrist, hip, knee, jaw and ankle. Includes stand and photocopiable activity guide in 4 languages. Size: 850mm. Classic model of the human eye in 6 parts with highly accurate and detailed colourful components. Dissects into: a two part sclera with cornea and eye muscle attachments, both halves of the choroid with iris and retina, lens and vitreous humour. Includes detachable base and photocopiable activity guide in 4 languages. Colourful representation of the outer, inner and middle ear including: removable eardrum with hammer and anvil, 2-part labyrinth with stirrup, cochlea and auditory/balance nerve. Includes base and photocopiable activity guide in 4 languages. 11-piece dissectable anatomical torso, consisting of realistically coloured and detailed body parts in the correct proportion and location. Includes photocopiable activity guide, ideal for pupils to learn about the major organs and the physical relationship between them. Suitable for 8+. 8-piece desktop sized dissectable anatomical torso, consisting of realistically coloured and detailed body parts in the correct proportion and location. Includes photocopiable activity guide, ideal for pupils to learn about the major organs and the physical relationship between them. Suitable for 8+. Stethoscope 75316 Check heart-rate using this basic stethoscope. Size: approx. 740mm. Pumping Heart Model 03017 Clearly demonstrates how the heart pumps blood around the body. Includes assembly instructions. Size: 280mm. Giant Dental Care Model 03089 Sturdy 2x life-size model for identifying the different types and functions of teeth. Includes large toothbrush (360mm). Size of teeth outstretched: 450mm. Dental Kit 03084 Complete dental health education set, including the giant teeth demonstration model, toothbrush, 2 minute sand timer, 24 plaque disclosing tablets, 10 dental mirrors and activity guide. Giant Teeth Demonstration Model 03083 Excellent for demonstrating dental hygiene and tooth care. Can be manipulated manually in a hand-puppet like fashion. Includes toothbrush and activity guide. Size: 150 x 185 x 140mm. Dental mirrors for children to view those hard-to-see parts of their mouths - especially useful alongside the use of disclosing tablets. Size: 160mm. Science | Observation Rainbow Tongs 61092 Pk6 Brightly coloured scoops with scissor handles for safely capturing, holding and inspecting insects or plants. Size: 180 x 50 x 35mm. Observe living creatures in this convenient portable bug house. Snap lock lid for easy capture & release. Ventilated design. Great for outdoor play. Observe living creatures or plants in the bug barn. Additional ventilated viewer pot with micro ruler, net, magnifier and tweezers included. Instruction manual included. Observation | Science Rainbow Viewers 61094 Pk6 A set of observation pots with a magnifier in the brightly coloured push on lids. Ideal for investigating natural resources up close. 3x magnification. Size: 60 x 80mm dia. Ventilated viewing pot with 5x magnification lid to observe minibeasts in detail. Opens both ends for easy access. Clear base with micro ruler. Bug viewer with magnifying windows in the top and side allow two children to view specimens simultaneously from different angles. Easy grip handles. Top viewer 6x magnification; side viewer 4x magnification. Portable container with net, magnifier and tweezers for observing captured minibeasts. Instruction manual included. Size of pot: 60 x 50mm dia. Observe living creatures in this ventilated viewing pot with 6x magnification lid. Observe creatures in this collapsible viewing pot with 2x magnification lid and 3.5x magnification viewer. Clear base with micro ruler. Bug Viewer 61006 (2x & 3.5x) Observe creatures in this viewing pot with 2x magnification lid and 3.5x magnification viewer. Clear base with micro ruler. 61004 (5x) Observe living creatures in this ventilated viewing pot with 5x magnification lid. Clear base with micro ruler. Size: 65 x 45mm dia. Observation | Science Telescopic Nets 34057	Pond (Size of net: 200 x 200mm) 34059	Insect (Size of net: 720 x 300mm dia.) Handy nets with telescopic aluminium handles and knotless fine mesh, will not harm specimens. Safe and durable. Guaranteed not to run if holed. Bug Catching Net 61016 Ideal for safely capturing outdoor minibeasts for observation. Extendable handle (380-520mm). Size of net: 196mm dia. Pond Nets 34045 Pk5 Robust net for pond-dipping activities. Colour may vary. Size of net: 115 x 120mm. Handle: 250mm. Specimen Tubes 34030 Pk30 Crystal clear and ideal for collecting plant specimens or displaying a range of different objects and materials for observation. Size: 30cc capacity. Crystal clear styrene jars with single thread and easy twist off cap. Ideal for viewing and transporting specimens. Size: 60ml capacity. Sturdy, versatile trays ideal for investigating nature. Great value, robust simple aquarium. Approx. capacity 10L. Colour may vary. Size: 310 x 220 x 220mm. Rainbow Magnifiers	61096 Pk6 A set of brightly coloured hand magnifiers, ideal for investigating bugs, leaves and patterns in nature. 3x magnification. Size: 162 x 16 x 80mm dia. Made from high quality, optically pure plastic to provide crisp, clear images without distortion. Assorted optical acrylic lenses. Contains 24 x Handy Magnifiers (35mm dia. ), 5 x Detail Magnifiers (50mm dia. ), 2 x Clarity Magnifiers (63mm dia.) and 4 x Bug Viewers (55mm dia.) in a plastic container for convenient storage. Magnifier Set 45mm (3x 6x) 48147 Pk10 Good quality, hard wearing magnifier set with dual magnification. Main lens 45mm dia. 3x magnification. Detail lens 6x magnification. Size: 110mm. Large Magnifier 61021 Good quality, hard wearing magnifier with dual magnification. Main lens 80mm dia. 2x magnification. Detail lens 25mm dia. 5x magnification. Sheet Magnifier 48123 Easy to use magnifier ideal for small hands. Low cost and easy to store. Up to 3x magnification. Science | Observation / Light Binoculars Set 28mm (3x) 61036 Pk12 Set of 12 junior binoculars with 3x magnification lenses. Size: 110 x 80 x 40mm. Junior kaleidoscope with viewing chamber for observing light and patterns. Interchangeable marble. Handy pair of binoculars with 4x magnification lenses. Features eyepiece with rubber cushion, sensitive focus adjuster and objective lens diameter of 35mm. Size: 120 x 115 x 45mm. LED Handy Torches 48012 Pk12 Energy efficient small hand held torches for classroom experiments. 3 x red, 3 x blue, 3 x green, 3 x yellow. Requires 2 x AA batteries (not included). Size: 160 x 33mm. LED Light Box & Optical Set 48227 Comprehensive light and optics set which includes a 3 beam ray box (each beam available in dual colours – white or red) and an array of lenses and prisms, teachers’ notes and 9 pupil work cards. The set is an ideal accompaniment to any advanced study of light and optics with experiments to show refraction and reflection through various shaped prisms and lenses, the splitting of light into the rainbow colours, how internal reflection is used in fibre optic cables and the appropriate lenses to use to correct long and short sightedness. Includes activity guide and work cards. 3 x AAA batteries required. Recommended for children from 8 years. Deca Prism Set	48160 Pk10 A set of 25mm-thick plastic optical prisms, including a selection of triangular, rectangular, semi-circular, convex and concave shapes. Supplied in a foam-lined box for convenient storage. Size of prism: approx. 75mm. Science | Experiments Window Thermometer 90095 Large clear suction fit window thermometer. Attach to an exterior window and the gauge will show temperatures from -40 to 60°C as well as -40 to 140°F. Size: approx. 185mm dia. Hand Held Microscope 61002 Compact pocket microscope that can be used for instant magnified observation indoors or out with 20x and 40x optical magnification. Includes strap, prepared slide, stand and information sheet in 6 languages. Requires 3 x AG13 button batteries (included). Size: 100mm. Prepared Micro-Slides 61047 Pk12 12 viewing slides, each containing 3 assorted specimens for examination under a microscope. Specimens include samples of food & drink, synthetic & natural fibres, animal cells, plant & vitamin cells, medicine & starch and microfilm. Includes plastic container for convenient storage. Size: 75mm. Indoor / Outdoor Classroom Thermometer 90093 Giant thermometer featuring a large, accurate 300mm glass kerosene-filled magnifying tube. Range is -30° to 50°C and -20° to 120°F. Size: 380mm. Experiments | Science Digital Timer	92083 Chunky soft touch timer with stopwatch. Will time up or down to 24 hours. Display shows hours, minutes and seconds. Size: 90 x 48 x 45mm. For our full range of digital timers see pages 134-135. With rubber seal to give an effective push-pull action. 5m of clear PVC tubing with a 3mm internal diameter. Use with the syringes to make pneumatic or hydraulic systems. 500ml For our full range of measuring beakers see pages 127-128. Beaker Set 52082 Pk7 Translucent containers for holding 50ml, 100ml, 200ml, 250ml, 300ml, 500ml and 1000ml of fluid respectively. Made from autoclavable polypropylene. Spring Scales/Force Meters are calibrated in grams on one side, and Newtons on the other. Extension Springs 64429 Pk25 50393 Pk100 For demonstrating Hookeâ&#x20AC;&#x2122;s Law, resolution of forces, kinetic energy measurement, etc. Will recover from stretch to approx. 400mm. Size: 22 x 15mm. Plastic-Cased Magnets | Science Super Magnets 50209 Pk2 Feel the ultimate pulling power of magnetism with this pair of incredible super strong magnets. Housed in tough colour coded outer mouldings (red = north, blue = south) the design allows children to safely experience first hand the force of neodymium. Size: 60mm. Giant Horseshoe Magnet 50019 Powerful magnets (with north and south poles clearly marked) are housed at the ends of this impressive giant horseshoe magnet. Size: 210mm. A popular red & yellow plastic horseshoe magnet with keeper. The ideal magnet for early experiences of magnetic forces. 50275	Giant 130 x 40 x 10mm Pk2 50028	Standard 80 x 22 x 10mm Pk2 Strong magnets enclosed in tough plastic outer casings, colour coded red for north and blue for south. Handy sized magnetic rings and base for demonstration and hands-on play with magnetism. In repulsion the rings float on a mysterious invisible force field. A set of 5 colour plastic encased ring magnets with a plastic stand to create a floating magnet trick. Children achieve this simply by stacking the rings with like poles facing each other so they repel. Size of ring: 10 x 60mm dia. Ring Magnets 50186 Pk4 4 ring magnets colour coded and marked with north and south poles. Works with the Push/Pull Cars below. Suitable for 8+. Size: 8 x 36mm. Push / Pull Cars Set 50183 A set comprising of 2 bumper cars and 4 ring magnets. The cars have slots to accommodate the ring magnets. Children will learn all about the power of magnets as well as the force of magnetic attraction and repulsion. Suitable for 8+. Size of car: 100 x 50 x 60mm. Ring: 8 x 36mm dia. Magnetic Wands & Chips Set 50012 2 magnetic wands and 100 coloured plastic counting chips ideal for primary education. Wand colour may vary. Size of wand: 190mm. Chip: 20mm dia. Metal Counting Chips 50409 Pk100 50293 Pk500 (Tub) Colourful transparent discs with metal rims ideal for use with magnets. Great for counting, sorting and for using on a light panel. Size: 20mm dia. Magnetic Pole Marbles 50297 Pk20 50299 Pk100 (Tub) Colour coded plastic-cased magnetic pole marbles. The red and blue colour coding reinforces the principle that opposites attract and likes repel. Size: 15mm dia. Magnetic Wands & Marbles Set 50016 2 magnetic wands and 20 coloured plastic marbles ideal for primary education. Wand colour may vary. Size of wand: 190mm. Marble: 15mm dia. 50282 Pk6 Plastic magnetic wands in bright colours ideal for primary education. Can be used in conjunction with metallic chips and magnetic marbles. Size: 190mm. 50383	Pk20 50291	Pk100 (Tub) These plastic-cased marbles contain a magnet so they stick together and pull towards and away from each other. 10 colours. Size: 15mm dia. Chrome Steel Horseshoe Magnet 50407	75 x 8 x 6mm 50102	Set of 3 in plastic wallet: 75mm, 100mm, 125mm Chrome steel horseshoe magnets with keeper. Alnico horseshoe magnet painted red with keeper. Alnico strong cast ‘U’ magnet painted red with keeper. Suitable for 8+. Chrome steel bar magnets with keeper. Painted red and plated. Alnico bar magnets with keeper, sold as a pair, painted with north pole marked by a dimple. Suitable for 8+. Neodymium Disc Magnets 50179	10 x 4mm Pk10 50235	15 x 4mm Pk4 Neodymium magnets have the greatest pulling force of all permanent magnets. Selection of magnets and materials supplied in a plastic container for convenient storage. Includes alnico bars, alnico button magnets, ferrite blocks & rings, chrome steel horseshoe magnet, alnico horseshoe magnet, coloured squares of magnetic rubber, plotting compasses 19mm, compasses 14.5mm, chrome rods, a piece of lodestone and activity guide. A comprehensive selection of magnets and materials supplied in a plastic container for convenient storage. Includes alnico bars, alnico button magnets, round and square alcomax bars, ferrite blocks and rings, chrome steel horseshoe magnet, alnico horseshoe magnet, iron filings bubble, pair of plastic-cased bar magnets, coloured squares of magnetic rubber, chrome steel bars, a metal disc set and plotting compasses. Bar Magnets Set 50281 A set of 20 solid, painted (red/blue) ferrite magnets for general use in exploring magnetism. Colour coded for easy identification and supplied in a snap top case. Suitable for 8+. 50205 40 x 9 x 9mm Pk20 50207 50 x 10 x 14mm Pk20 Painted ferrite bar magnets, with red and blue poles, stamped with ‘N’ & ‘S’. Suitable for 8+. 50443 Pk300 Assorted magnets including discs, rings & squares packed in a mini grip bag. Size of magnet: 14 x 10 x 50mm. Ferrite ring magnets with 7mm hole. Ferrite block magnets ideal for use with reed switches. Suitable for 8+. Ferrite square magnets. Suitable for 8+. Size: 19 x 19 x 5mm. First Experiments Magnetism Set 50215 Selection of magnets and materials supplied in a plastic container for convenient storage. Includes alnico bars, alnico button magnets, ferrite blocks & rings, chrome steel horseshoe magnet, alnico horseshoe magnet, coloured squares of magnetic rubber, plotting compasses 19mm, compasses 14.5mm, chrome rods, a piece of lodestone and activity guide. Magnetic Attraction Kit 50216 Single Set 50217 Double Set Fun and educational magnetic play sets to illustrate attraction, repulsion and magnetic fields. Double set contains 4 x bumper cars, 16 x ring magnets, 2 x ring stands, 4 x professors, 4 x magnetic wands, 2 x rulers, 4 x iron filings cases and photocopiable activity guide in 3 languages. Suitable for 8+. Electro-Magnetism | Science Electromagnet 50106 Electromagnet 4V DC with keeper. Lifts up to 300g. Size: 90mm. Connections are made using transparent wires to show the copper core, and with clear bases to show the path of electricity right to the component. Circuits are made using the simple Maglead system. Contains 6 circuits (2 closed, 1 festoon bulb, 1 buzzer, 1 motor and 1 switch), 3 x MES bulbs, 10 x Magleads, 2 x crocodile clips, resistance wire, 3 x battery connectors and photocopiable activity guide. Requires 3 x C batteries. The Hercules Electromagnet 50213 For the demonstration of how powerful magnetism can be. Powered by one 9V PP3 battery this small magnet has a huge lifting power of approx. 150kg. When switched on an iron plate locks itself solidly to the bottom of the electromagnetic core. Turning the switch off will release the load or hold it in the air, as required. Karabiners situated at the top and bottom of the device make it easy to clip into position. Includes battery and information sheet. MagTags 50413 Pk10 (5 Pairs) Pairs of high powered permanent neodymium magnets with tinned copper wire tails. N/S facing poles make them ideal for simple connection to batteries, bulbs, motors etc. Especially good where repeated connection/disconnection is required. Size of magnet: 6 x 5mm dia. 50425	150mm Red Pk10 50433 300mm Red Pk10 50421	150mm Black Pk10 50429	300mm Black Pk10 50419	150mm Assorted Colours Pk10 50427 300mm Assorted Colours Pk10 The tiny (4mm dia.) powerful magnets in Magleads will make instant connections when near steel connectors, creating effective working circuits. No need to strip, cut or make mechanical fixes. Leads can be connected together to extend their length. 20 magnetic and non magnetic objects; some familiar, some not, neatly sealed in clear plastic pots with 2 magnetic wands to test for magnetism. Good for individual and group work, supplied in a plastic container for convenient storage. Sets of discs or strips in a variety of metal materials, including brass, copper, bronze, nickel silver, mild steel, stainless steel, galvanised steel, zinc and aluminium. Stamped for identification and ideal for experiments to demonstrate the magnetic properties and classifications of metals. A sample of naturally magnetic iron ore. Apparatus for demonstrating the thermal conductivity of different metals. Strips of copper, iron, aluminium & brass, all stamped with their name, come robustly mounted on a wooden ring. Includes activity guide. Size of strips: 100 x l5mm. Ring: 125mm dia. Field Effects | Science Magnetic Field Pattern Window 50437	White background 50143	Transparent Frame containing magnetic powder in a water based solution for showing magnetic field patterns. When a magnet is present the particles of iron inside become slightly magnetised, so they attract each other and cluster into the lines that show the magnetic field patterns. Includes a pair of small ferrite block magnets, a pair of plastic-cased bar magnets and activity guide. Size: 225 x 130 x 15mm. Copper tube with viewing slot and containing one non-magnetised and one magnetised neodymium plug of identical sizes and weights, for demonstrating Lenz’s law and the effect of eddy currents. Supplied with full supporting teachers’ notes. A clear plastic tube with a double wall and iron filings between the two layers to show a 3 dimensional view of the magnetic field around the magnet supplied. The magnet is removable and the filings are safely encased. A two piece set representing the Earth and its magnetic fields. The rubberised ball shows continent details and has a strong magnet inside that simulates the Earth’s magnetic field. The hand held magnet field finder will show the strength, direction and position of the magnetic flux when placed near the Earth’s ball. Includes activity guide. Iron Filings Bubble 50190 Rectangular plastic-cased iron filings to show the effect of magnetic force field when in the proximity of a magnet. Size: 97 x 70 x 10mm. Iron filings in plastic shaker, ideal for magnetic flux experiments. Size: 225g. Science | Compasses Giant Compass 50269 Tough plastic-cased compass with lanyard. Marked with 8 compass points and full 360 degree scale round edges. Size: 100mm. Small plotting compasses, ideal for group work. Can be viewed from both sides or used on an overhead projector. Tough plastic-cased compass with lanyard, marked with 4 compass points and full 360 degree scale around its edge. Floating Compass Magnet & Bowl 50295 Compass magnet and translucent plastic bowl marked with compass points. Float the magnet and watch it turn to point to magnetic north. Size of bowl: 135mm dia. Self-adhesive round magnetic dots & pads, ideal for art and DT projects. Size: 12mm dia. Variety of pulleys with 4mm dia. centre hole. Includes 12 x 50mm dia., 6 x 40mm dia. and 6 x 30mm dia. Multi-coloured plastic wheels with 4mm diameter centre hole. Size: 40mm dia. Universal Mounting Clips 64112 Pk10 Plastic spring clip for holding components 19-25mm diameter. Use with electric motors, plastic syringes or batteries. Includes sticky pads and internal reducing collar. Designed for max. shaft dia. 5mm. Can be fixed to the chassis with sticky pads or screwed via 3mm fixing holes. Foam washers to secure wheels, gears, pulleys or cams to their axles. Fits axles 4-6mm dia. Fit directly onto motor shaft for a direct drive pulley. Double-sided plastic plane mirrors with high quality mirror finish. Both sides protected with peel off film. Can be bent or cut easily. Uses include science experiments with light, maths shape and symmetry work, creative art and craft projects. An assortment of double-sided plastic mirrors in 3 different sizes for use in science experiments with light, maths shape and symmetry work, creative art and craft projects. Contains: Pk8 75 x 25mm, Pk4 100 x 75m, Pk4 190 x 145mm. Two sided plastic mirrors, convex and concave. Size: 100 x 100mm. Flat Plastic Mirrors 48138	A4 Mirrors (210 x 297mm) Pk10 48011	A6 Mirrors (100 x 150mm) Pk10 Single-sided optically excellent plastic mirrors. Simply score the surface with a sharp edge or cutting knife and bend to render to the required size. They are covered with a peel-off protective film to keep them clean and blemish free. Ideal for reflective symmetry, light experiments or in model making. Geography Political Globe 57007 World globe with sturdy base. Simple 2-piece construction Size: 280mm. Children can learn about the water cycle in a hands-on way with this simple rainmaking simulator that is easy to set up and operate. Includes activity guide. Lamp required. Handy compact globe with sturdy base. Simple 2-piece construction. Size: 130mm. Early Years Music Set	85113 A colourful and practical 10-piece set of percussion instruments, ideal for young children to learn about sound and rhythm, encouraging group participation in songs and dance. Contains 2 hand bells, 2 grip rattles, 3 hand shakers, 2 rainmakers and an ocean drum in a zipped bag for convenient storage. Size of drum: 250mm dia. Musical Instruments A varied selection of wooden and plastic percussion instruments including shakers, drums, tambourines and rhythm makers, all carefully chosen for children to enjoy creating a wide range of rhythmic sounds and sound effects whilst using hand-eye coordination and developing dexterity skills. Xylophone 85099 A beautiful 8-tone xylophone with hardwood keys and a pair of wooden mallets. Wood colour may vary. Size: 260 x 190 x 50mm. Wooden Rainbow Rainmaker 85115 Attractive beech wood cylinder rainstick with colourful painted rainbow stripes at both ends. Young children will enjoy turning, rolling or shaking it to mimic the sound of falling rain. Ideal for physical development, using in imaginative play and to explore rhythm and dance. Size: 350mm x 45mm dia. Percussion Set 85101 Set of 10 percussion instruments in a zipped bag for convenient storage. Contains 2 maracas, 2 castanets, tambourine, triangle and beater, 2 claves, rhythmclapper, single tone guiro and beater, 2 finger cymbals, wooden shaker pot, 13 bell jingle stick. Little Hands Tambourine 85037 130mm dia. 85043 150 & 175mm dia.